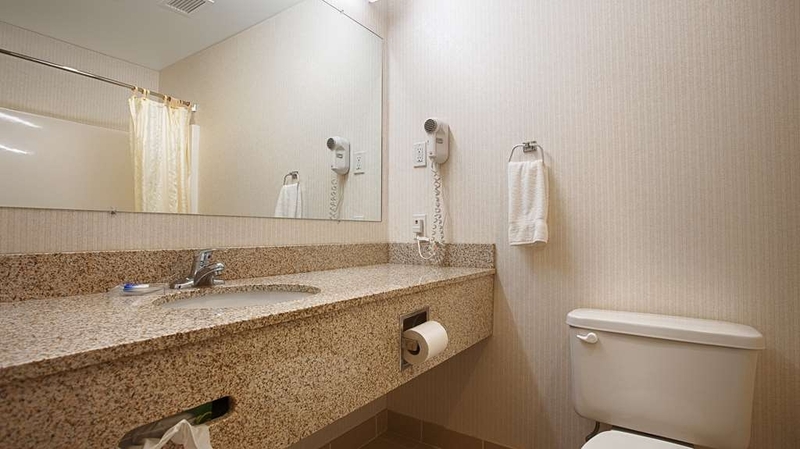 Das Best Western Plus Saratoga Springs ist ideal in Saratoga Springs Stadtzentrum zu finden. Erleben Sie ein schöner Aufenthalt in der Nähe von alle Sehenswurdigkeiten. Bestpreisgarantie und exklusive Angebote. Willkommen im Best Western Plus® Saratoga Springs!Veranstaltungen im Saratoga Performing Arts Center, die das ganze Jahr über stattfinden, gehören zu den Unterhaltungsangeboten für Gäste in diesem Hotel in Saratoga Springs. Verbringen Sie einen aufregenden Tag auf der Rennbahn von Saratoga, und versuchen Sie Ihr Glück im Kasino oder bei Pferdewetten. Reisenden stehen unzählige Möglichkeiten offen. Besuchen Sie eine Vorlesung im Skidmore College oder entdecken Sie gute Restaurants. Im nahe gelegenen Saratoga State Park, einem wunderschönen Ausflugsziel für Abenteuerlustige, stehen viele Freizeitangebote zur Verfügung. Unternehmen Sie einen Ausflug zur Saratoga Ruderregatta oder genießen Sie das Flair der Saratoga Horse Show. Viele Gäste nutzen bei einem Aufenthalt in diesem Hotel in Saratoga Springs die vielfältigen Möglichkeiten zur Entspannung. Weder Geschäfts- noch Urlaubsreisende müssen auf heimischen Komfort verzichten. Alle Zimmer sind ausgestattet mit Minikühlschrank, Mikrowelle sowie kostenlosem drahtlosen Internet (Wi-Fi). Ganz gleich, ob Sie an einer Abschlussfeier im College teilnehmen oder an einer Tagung bei Ace Hardware Distribution, beschließen Sie Ihren Aufenthalt mit einem Besuch des New York Ballet, nur eine kurze Autofahrt vom Hotel entfernt. Geschäftsreisende, die Termine bei Global Foundries und Quad Graphics wahrnehmen, genießen die herzliche Gastlichkeit und den hochwertigen Service, die nur Best Western bietet. Die hervorragende Lage unseres Hotels ist das Tüpfelchen auf dem i. Dank der geringen Entfernung von der NY-87 (nur 1,5 km) und der Nähe zum Amtrak-Bahnhof im Stadtzentrum ist es ein Leichtes, die Umgebung zu erkunden. Geschäfte und Freizeitangebote sind nur wenige Minuten entfernt. Aber auch geruhsame Erholung steht auf der Tagesordnung, da sich dieses Hotel in Saratoga Springs einer ruhigen Lage am Stadtrand erfreut. Freuen Sie sich auf Matratzen mit extragepolsterter Auflage und Gästezimmer mit der neuesten Ausstattung, um ihren Aufenthalt so angenehm wie möglich zu gestalten. Unsere hilfsbereiten Mitarbeiter kennen sich bestens in der Umgebung aus und geben gern Tipps und Empfehlungen zu Restaurants, Geschäften und Sehenswürdigkeiten. Reservieren Sie noch heute einen erholsamen Aufenthalt im Best Western Plus® Saratoga Springs! Wir wünschen einen schönen Aufenthalt. 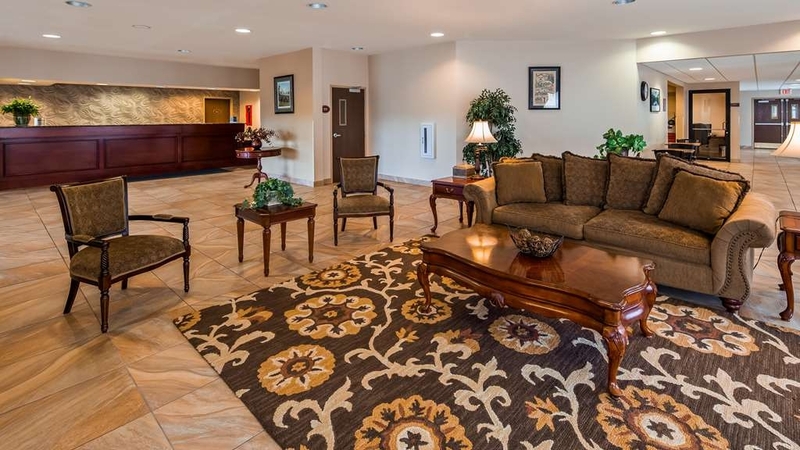 "Pet Friendly Accomodations & Wonderful Staff"
I was in town for a basketball tournament. Needless to say my days were hectic and crazy. It was lovely coming back to nice hotel. Breakfast was delicious. The TV wasn't blaring in the breakfast room. Soft music was playing, perfect for starting your day. Staff was very friendly, rooms comfortable with great shower !! Oh forgot....close to the Casino !! I will be back !! This hotel is a good value for Saratoga. The rooms are quiet, large and clean, and the heat works well. There is a full, high quality, hot breakfast and the dining area is well maintained. The hot water was improved since last year and check out was faster. It's several miles south of the town center, so nothing is in walking distance. The parking lot overflows when the hotel is near capacity and some spots are lost due to snow piles. Expect to improvise and walk a bit if you arrive late. Been awhile, but our overnight stay was pleasant & very restful. A good help-yourself breakfast included. Thought of staying on our next trip, but did want to be more in center of town to peruse around their quaint shops, etc. Thank you for providing feedback regarding your recent stay. We are pleased to see that you enjoyed your stay. Please keep us in mind should you be in the Saratoga area as our Uber and Taxi services are reasonably priced and very responsive to our guests. Thank you again! This is a great hotel to stay at. Clean and comfortable. Breakfast is good and staff is very friendly and helpful. Beds are very comfortable. I always enjoy staying at the BW Plus. You always get your money's worth. Thank you for your positive comments. We are pleased that you enjoy your stays with us and we look forward to seeing you again soon! Hotel phone didn't work. The internet worked when it wanted to. I don't think I will use a best western in the future if I needed to. I will stay with my gut and use a holiday inn, like I always do. Also bed wasn't comfortable. I was located in a secluded area of the hotel. Thank you for providing feedback regarding your recent stay. We apologize if you were with us during a recent power outage and for any other inconvenience you may have experienced during your stay. We do hope you will stop in again and give us another opportunity to exceed your expectations. "The best staff I've had." The hotel is in the final stages of remodeling, it was quite and comfortable. The room was large, clean, the bed was great, and the breakfast as good as many restaurants. Plenty of parking and a most helpful and caring staff. Thank you for your review. We are pleased to see that you enjoyed your stay and our accommodations. We will be sure to share your positive remarks with our staff. Thank you again, and we hope to see you soon! Lobby staff was very helpful and friendly. They assisted in reassigning our room after we checked in and found that we could hear every word of the conversation a pair of gentlemen were having in the neighboring room. It was not only loud, but vulgar and extremely misogynistic.Not exactly the experience a soon to be married couple wants to have on Thanksgiving night. I would advise against staying in a room that is part of a family room set (conjoining door), as it was very unsettling. The breakfast buffet was plentiful and the staff responsible for that part was exemplary. Thank you for providing a review of your stay with us. We wish to apologize for any inconvenience you may have experienced during your stay. We take noise complaints very seriously and hope we addressed your concern to your satisfaction. We hope you will consider staying with us again should you be in the Saratoga region. Always use Best Western in Saratoga and Lake George very convenient localities, clean and pleasant staff . Love Saratoga Best Western during racing season and Best Western Lake George for outdoor activities. Thank you for providing a review of your stay with us. We are please to see you enjoy your stays with us and we look forward to your return! Thank you for providing a review of your recent stay. We hope to see you again soon! Thank you for your review. We are pleased that you enjoyed your stay and look forward to your return. "Place Was Okay But Way Overpriced"
Property is outdated. For the most part it was okay, but there were hairs in the bed when we pulled back the covers. It looked like a place out of the 1980's. The place was way overpriced too. There was high demand for rooms that weekend and they took full advantage with a ridiculous price for this property. Thank you for providing a review following your recent stay with us. Your feedback is important to us and we will surely follow up on your comments. We do apologize for any inconveniences you may have experienced and hope you will give us another opportunity to exceed your expectations and stop by again in the future. Nice staff who gave us great dinner recommendation. Nice large room but toilet paper had not been put on its holder, and the bathroom flooded (disability room). There was also an unusual (slightly unpleasant) odour in the hallways. Breakfast was adequate. Thank you for providing feedback regarding your recent stay. We strive to exceed our guests expectation each and every time and apologize for not exceeding all of your expectations. We hope you will give us another chance and stop by again soon. Booked 2 queen room . Bathroom toilet over flowed in the room , making us have to move to another room. the second room only had 1 bed and it was me and my 16 year old son. So I had to sleep on the leather couch that was very small and uncomfortable. Although it was a pull out it felt like a box spring. When I asked that we be compensated she offered me 10% I told her I didn't feel that was a great enough of a savings so she gave me 20% . Still not good ( I didn't sleep all night and had a long ride home) . The fact that I had to keep asking for a discount .. I should have just been offered something. Thank you for providing feedback regarding your stay. We are sorry to hear that you felt you had to ask for a discount and will follow up, but we are pleased to see that you did receive 20% off your room charge for your concern with the comfort of your bed. Thank you again for your review. This hotel is convenient for visiting the town but does have its plus and minuses. Plus - what a delightful gentleman Mo is, a pleasure to meet him. Rooms large and clean, comfortable bed, housekeeping clearly take pride in what they do. Ample car parking. Negatives - thought the hotel was dated, very dark in the rooms and old fashioned. Breakfast - eating off paper/styrofoam plates and paper cups, for the price (and for any price in a hotel) I do expect ‘proper' plates and mugs/cups. Plastic cutlery - not for me. Recycling/environmentally friendly - probably not - you cannot recycle something that has had scrambled egg or pancakes on it. Walls between rooms incredibly thin, we had the delight of being awoken at 6.30am by the people next door. Price - thought the hotel was slightly overpriced for the quality offered. However, the Best Western Plus is a decent enough hotel with excellent staff. Thank you for providing feedback regarding your recent stay. We apologize for not exceeding your expectations and hope if you return to the Saratoga area you will stop in and give us another opportunity to exceed your expectations. "Nice room on a budget"
Bed was comfortable and the room was clean. Breakfast was standard fare for Best Western. Their recommendation for a place to eat was right on. Staff was helpful and polite. It was going through a remodel but it was quiet. "we were celebrating our 55th wedding anniversary"
we picked the Best Western because it was close to downtown and the casino, but it was more than we expected. The hotel itself is beautiful, clean and inviting. The staff was very professional and helpful. Mo and Dora were the perfect hosts and one, or, the other were there taking care of anything we wanted. We are definitely coming back and telling all our friends about this hotel. Thank you for the review We are glad you enjoyed your stay with us, We were glad that you got all you wanted out of the stay with us. and thank you for choosing our hotel for your stay. This is a very nice hotel, new, modern, clean. Despite the fact it's on a busy road, we didn't hear a thing as our room was facing the back. The only minus but not serious enough to change my rating: the coffee. But as I have mentioned before, this seems to be more of a Best Western problem in general as many hotels seem to use the same automatic coffee machine with the same coffee brand. Maybe they should change their provider. Good location. Highly recommended! thanks for the rating and the review we will take it under advisement about the coffee I know we have regular folgers Coffee here if the customer lets us know that they don't like the coffee from the machine we are more than happy to make it for the guest. "Mo, the receptionist, saved the day!" This hotel had a few problems with housekeeping and security. When we were leaving, I mentioned my concerns to Mo. He was extremely apologetic and offered us a discount on the room. I appreciate that so much because often when I mention something, the staff will say, "I'm sorry" and do nothing about it. Mo said, "Sorry doesn't mean anything unless you do something about it." And he backed up his words. Because of Mo, we will return to this hotel next time we're in the area. We booked this hotel because we were staying for a concert. When we arrived, we got the vibe that they were lacking help. When we entered our hotel room we could tell that they just “tidied” up the room. I can't even say they cleaned it. The toilet paper wasn't on the holder, towels were thrown on the rack, and it was messy. When we went to bed we pulled the blankets down and the sheets were dirty. I called the front desk and they didn't even seem shocked. I had them bring new bedding but I felt disgusting sleeping the whole night but had no other option because we live hours away. For the price we paid, the quality was terrible. This hotel was a good value for the money. Good location, excellent breakfast, updated rooms. Overall staff was friendly and helpful. Beautiful area. A little disappointed that the hot tub was not working. I would stay here again. Thank you for providing feedback regarding your recent stay. We will be sure to share your positive comments with our breakfast server. We apologize if we did not exceed all of your expectations but hope you will stop in again. Thank you. We found this room after stopping at several other hotels, not realizing it was a race weekend. The staff was professional and friendly, the room was very comfortable, and the breakfast was good. Nice place. We are glad you came upon our hotel and that you enjoyed your stay. We hope you will stop in again! 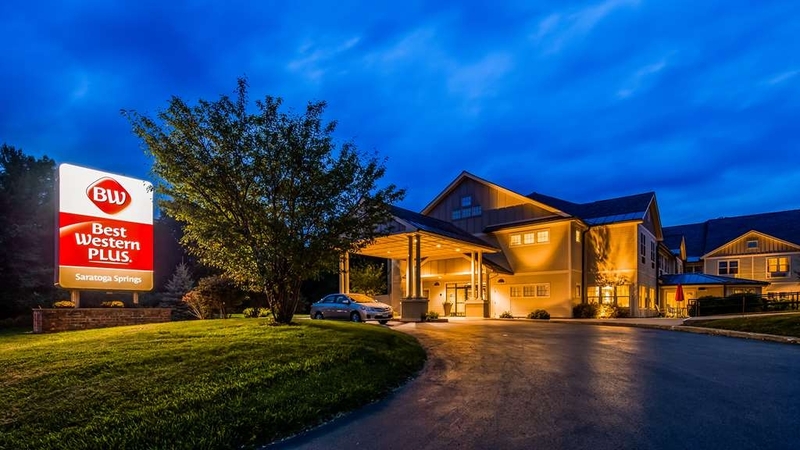 There is no more choice for families travelling with pet near Saratoga Spring.This hotel was one of the good choice to stay with our pet.The hotel location and breakfast was ok.Room was clean.Parking was free and there were enough spaces near rooms ,too. Unfortunately our concert coincided with a busy race weekend so hotel prices were high. We picked this best western so we could walk to the concert but also get into town easily during the rest of our weekend. With all that in consideration, over $300 a night for this place was still ridiculous. Convenience is about where it ends for this hotel. My wife and I were not at all impressed with the level of cleanliness (i.e. dead bugs on the windowsills, cobwebs around the AC/Heating units, rips in the very basic furniture in our room). Breakfast was mediocre. The wifi was in and out and the password provided did not always work. But the biggest drawback is the traffic noise due to the proximity to the main road going into downtown Saratoga. If you're booking, I strongly suggest you ask for a room in the back of the hotel, otherwise your bed will vibrate with the passing of tractor trailers all night, and that's not an exaggeration. If it was $150, or even $200 a night, I could accept these disappointments. But for nearly $350 a night, the accommodations should be much more impressive. "Good space, could use a makeover"
My husband, 14 year old son, 9 year old daughter and I spent two nights at this property. Overall, it was a good experience. The hotel is right next to Saratoga Springs State Park but is not walkable to downtown so you will need to plan to drive in or take Uber. We stayed in a deluxe room which located in a separate building than the main lobby and breakfast. There is no elevator in this building so you need to carry your luggage up an average flight of stairs. The room was huge! 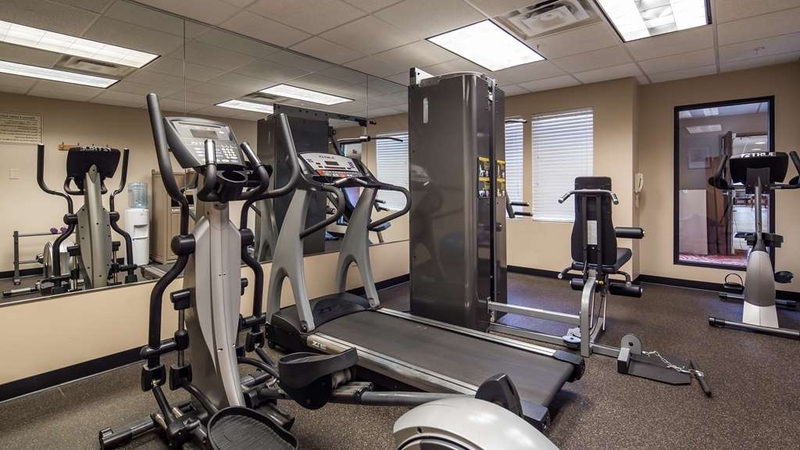 Large kitchenette and so much extra space it was easy to do a in-room workout. The bathroom was large as well and the beds were comfortable. The pool area with hot tub is nice. The weather wasn't great so we have the whole pool to ourselves. I do think it closes around 7-8pm. Breakfast was average. What you would expect. It is an older property and certainly could use some updating. The decor is tired and some spots in the bathroom were not cleanest. The shower head was awful. It was like an unruly harsh mist. We did have some trouble using a gift card when checking out but after a call to the corporate office, the issue was resolved. If you are looking for a good value with space, this is a good hotel. Great location if you are attending a show at the SPAC. Thank you for your review, your feedback is important to us. We hope to see you again soon! "Saratoga Springs - Best Western"
Was lucky to get this room during racing season. 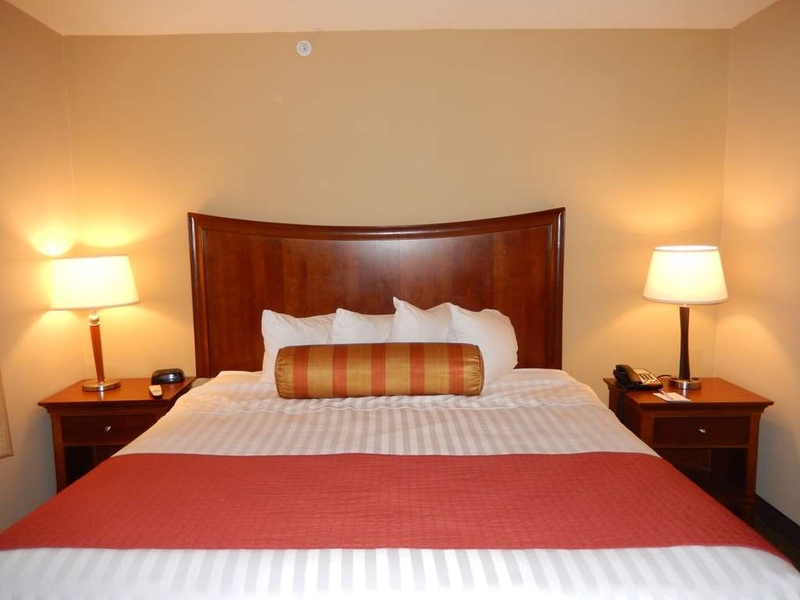 The hotel was a good value, it was very clean, and had a pleasant and efficient staff. The breakfast was included in the price and the coffee was very good, along with the waffles. I would stay at the Best Western again when in the area. "Still looking for the "Best" in Best Western"
We booked this property for one night for a college visit to Skidmore. Since it was August and horse racing season rooms were at a premium. There was a bobby pin on the bathroom floor in plain sight. The beds were incredibly uncomfortable. The worst offense, and I'm not sure how much control the hotel had over this, was going out to our car the next morning and having the parking lot smell like a urinal (and we could see at least 5 beer cases in the dumpster). We held our breath as we got into our car and drove away. If our son ends up attending Skidmore we will not be patronizing this hotel again. We have stayed at other Best Westerns and have not had this experience. We were very disappointed. We had a major fire at our home nearby and had to stay over 5 months at this hotel during renovation. It was a recommended hotel by our insurance company and the only one in the area that would take our large Rottweiler. I have stayed in many 5 star hotels and can honestly say that I got better service here than at most upscale branded hotels. My wife and I got to know the staff well during our stay, and all were delightful- always very friendly and helpful. The manager, “Mo”, was always on top of even the smallest issues, and the housekeepers were conscientious and thorough. Small problems with the rooms, which are expected during long stays, were taken care of promptly. The hot breakfast was well prepared and breakfast staff was conscientious. This is a very pet friendly hotel, and when our dog sickened and died during our stay, the staff was as upset as we were. The hotel is adjacent to the Saratoga Spa State Park, so we were able to enjoy long, beautiful walks whenever we wanted, and the SPAC concerts were within walking distance. 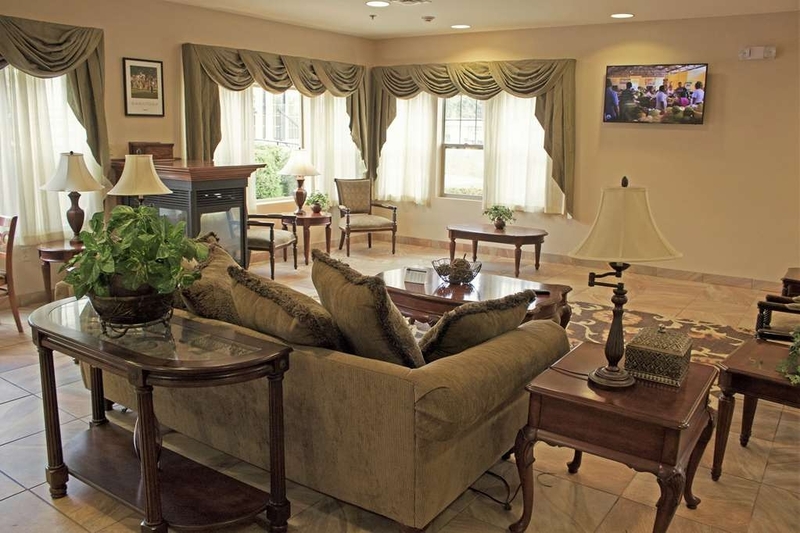 We have recommended the hotel to many friends who have friends and relatives that visit Saratoga. The hotel rooms were being renovated while we were there. Many great restaurants nearby. Big thumbs up. "Should be a BW Minus"
We thank you for providing feedback regarding your stay with us. We apologize for not exceeding your expectations and will follow up on the information you have provided. We hope that you will consider giving us another opportunity to exceed your expectations should you be in the Saratoga area. This hotel was great for our mini vacation. The location was wonderful since it was very close to the racetrack and Saratoga Performing Arts Center. The staff was very friendly and accommodating. The breakfast was very good also. And coffee 24 hours a day! We'd stay there again. Thank you for your review, we look forward to seeing you again soon! I've stayed here before. The woman at the front desk in the evening is wonderful--welcoming, friendly, accommodating, professional, efficient, etc. A bed in our room was dirty, we let her know, she immediately moved us--absolutely no hesitation, and happily--and it was clear that the problem would be sternly addressed with the staff. She has been wonderful every visit, and so has the front desk folks in the morning. They all make for an extremely pleasant stay. 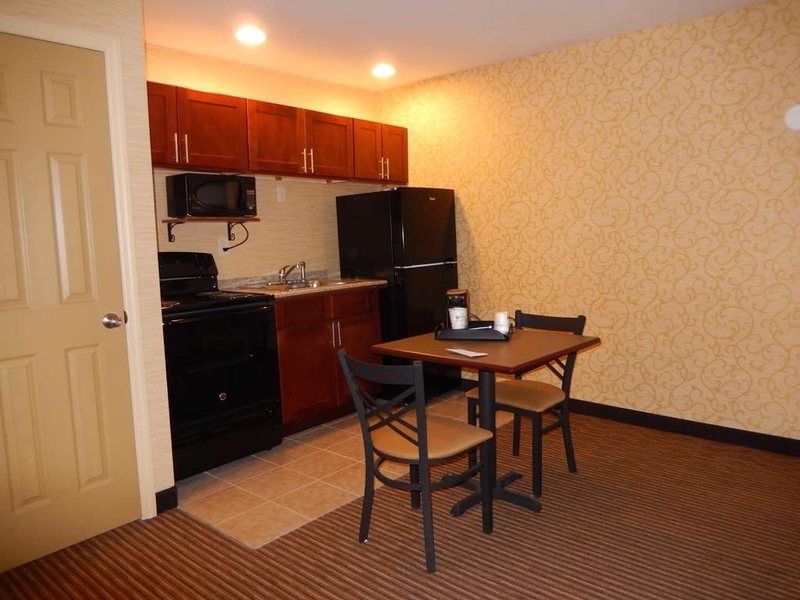 This is a BW Plus, so the rooms are an upgrade from the typical BW--kind of like a Hampton or Hilton Garden. Very roomy and comfortable. Finally, despite one bed issue, this place IS very clean and well maintained. I will stay here again and do recommend it. Night - Checked in last night after a day at the races. After standing all day at the track, my wife's neck was sore and we couldn't wait to get into the hotel hot tub. Unfortunately, it closes at dusk due to “state law” (which isn't enforced anywhere else I have stayed). Went to our room to soak in the bathtub instead - but no tub. Took 20 minutes to convince the woman at the front desk to move us to a room with a tub. She didn't want to make the effort, asked us if the room we just left was “sellable” (when all we'd done was step inside of it). She acted put out and unprofessional about our request to switch rooms, something that should have been no issue at all. My wife was in pain, there was a simple solution, and the front desk clerk could barely bother to be inconvenienced. I travel for work and stay at hotels all over the country, and this was the worst hotel customer service I have experienced in a long, long time. Day - the breakfast staff was wonderful, and the buffet hot and good. Thank you for providing feedback regarding your recent stay. We apologized for any inconvenience you may have had during your stay. Thank you for your positive words regarding our breakfast staff, we will be sure to share them with her. "Best Western HAS A PLUS! " Visited this Best Western Plus for a trip to Siesta keys Beach. We only stayed for 1 night. Upon check in the FD agent was very warm and inviting. She explained everything needed to know about the property. They provided hot buffet breakfast, coffee and tea. They even had POPCORN AND COOKIES! How AWESOME is that! They also have the SAND DOLLAR POOL BAR! The room was comfortable and clean. I will be returning next year! "Concert at SPAC last night"
I don't like leaving unfavorable reviews but, I don't feel the room was clean enough. We were able to check in a bit earlier which was nice. I noticed a long hair on one of the pillows, didn't want to make a big deal about it. When i went to bed there was another long hair on the blanket. The long pillow on the bed wasn't straight across, just lead me to believe it was rushed. The bathroom sink had a brown ring around it. I don't like to leave a negative comment about a persons livelihood but we paid $150 for the night and didn't feel comfortable.The breakfast was very good.Big hotel, maybe needs more workers, shouldn't go cheap with staff ,then the business suffers. Thank you for providing feedback regarding your recent stay with us. We apologize for any inconveniences you may have experienced during your stay and will be following up on the information you have provided. We hope that you will consider giving us another opportunity to exceed your expectations should you return to the Saratoga area. Seems there was only one person on staff at check-in time when a man was stuck in the elevator. A property of this size (and with a pool) needs to have more than one person on the premises at all times. Besides that, the room was fine and breakfast exceeded my expectations. NOT walking distance to SPAC. Your choice is a gravel path or a highway road with no sidewalk, both taking about 30 minutes. We thank you for providing us with feedback regarding your recent stay. We apologized for not exceeding your expectations and hope you will give us another opportunity to exceed your expectations, should you be in the Saratoga area. "Does everything to be basic"
If I paid half of what i paid I'd have been more happy. Maybe Saratoga is just much higher rates for hotels. It's clean but aged. It's not right in town so you need a car to get everywhere downtown. The free breakfast is good. Ive got no interest in ever going back but can't say anything bad about it. Thank you for providing feedback regarding your recent stay. We apologize for not exceeding your expectations and hope that you might give us another chance should you return to the Saratoga area. IT WAS very clean and quiet; the hotel is vwey well situated and provides a good breakfast selection and the staff was very caring and helpfull. We will be back eventualy when in Saratoga. Very good price for services received. Thank you for providing us with feedback regarding your recent stay. We look forward to your return! I stay at Best Western properties often, this was up there with the finest. Easy to find, accessible to down town w/o being in the middle of it and try quiet. Front desk was extremely helpful and went out of their way for me. Technical amenities of the room were beyond anything I'd seen lately. Perfectly placed and simple to use. Thank you for providing feedback regarding your recent stay. We are pleased to see that you enjoyed your stay and we look forward to seeing you again should you return to the Saratoga area. "Dishonest business practices and useless customer service "
We not-so lovingly referred to this place as the "Least-Western" all weekend. Upon checking in late on Friday evening, the person at the front desk tried to tell us the $420 we paid up front for the room was just a "deposit." She claimed we still owed $347. I called corporate and they told her she had to check us into our room and we owed the hotel nothing. They placed us in a room with two-double beds and claimed it was a "queen-room." After calling corporate again, we were informed that the hotel changed our reservation to a room with double beds back in April without notifying us of the change. Corporate tried placing a call to the general manager but he refused to take the phone call. A housekeeper was very sweet and kept checking in on us and told us that this is a common problem with the general Manager. There is something very shady going on with their business practices. Beware before booking! Thank you for providing feedback regarding your recent stay. We are glad that we were able to clarify for you that your room did have 2 queen beds and the amount remaining due was for your additional requests. We apologize for any inconvenience you may have experienced. We had a very nice stay at this hotel.. The service was excellent with smiling people . we really enjoyed the good breakfast with a large choice . We needed explanations and direction to go at a nearby restaurant and the person at the reception helped us gladly. We were going to Saratoga casino and this hotel was only 2 miles away. Rate was much more reasonable than the casino hotel. Remember if you are using points for one night and paying for another you must check out and back in for the other day. Otherwise they will check you out automaticly and your key will be demagnitized. Thank you for your feedback regarding your recent stay. We hope you had luck at the Casino and look forward to seeing you again soon! "Great Staff.Good location.Good Value for the I need to take my dog to a hotel crowd"
I found the BW Plus Brand in Waycross Georgia and look for them on the road.Not to be confused with the Standard BW hotels many of which should be torn down.Room was comfortable.Staff was very nice and accommodating.TV only has two HBO channels and 50 of buy a widget for $19.95 channels.Price was very good however they do the "its the weekend so the price goes up" routine.Appears to be some renovation going on the upper floor but did not have to see or hear it.Only part not good for me was the dogs.I was awakened by a couple with no manners who were playing fetch outside my door in the hallway with their two dogs.I was surprised because I asked about pets as I will not pay close to $100 stay in a room that a hotel has allowed animals to sleep in it. They assured me they had rooms no pets used and I was out of the pet rental area. Seems not so. First day they was what appeared to be a large dog barking in a room every time anyone was in the hallway.Second day we have the doggy fetch couple.Next morning at 7am breakfast we had a lady park her rottweiler right outside the window where we were eating for a dump.So much for breakfast.She then brought it into the breakfast area where I was tossing away my food because I had no stomach to continue to eat. She parked it in the breakfast area while she made herself a bagel. Kind of surprising for a much better than average Best Western Plus that caters to the Saratoga Springs horsy crown and I am sure commands a good buck during track season. We thank you for providing feedback regarding your recent stay with us. We would like to apologize for any inconvenience you may have experienced due to pets in the building. We will be following up with our staff to ensure that they address any violations of our policies to ensure everyone's comfort during their stay. We hope you will give us another chance to exceed your expectations should you be in the Saratoga region. "Very good value, average motel"
The value is quite good, and there's nothing glaringly wrong. I would not hesitate to stay there again. The room was clean and quiet, had a fridge and microwave, and the free breakfast buffet was reasonable. However, if fell short in a few places. The shower was lukewarm, while the sink was hot. The first excuse was that everyone was taking showers in the morning. The next night, I tried at 2 am, and it was no better. The next excuse was a blown circuit breaker. Lighting in the room was minimal. There's no express checkout. In the morning, I asked them to prepare the bill, but when I came back 1/2 hour later, it still took 10 minutes for them to hand to to me. Parking is free, but there are barely enough spaces. People were parking any place they could squeeze in. We are glad you enjoyed your stay with us and filled out the survey, they help us know where we can make improvements. We are so sorry there was a few places were we fell short and will address these and review them thank you. We are so glad you were able to enjoy our Breakfast The breakfast help try to make it a great start to your day . The place is a great comfortable hotel. We did however have a snippy check in lady. I believe her name was Kathy. Told us that because we used Hotels.com that we could have a chance to NOT receive our king bed room. I said we paid for the king bed and she said well you always take a chance using Expedia. She did however "find" our king bed room. Everything else was great! The people that took care of the breakfast area were so friendly. Great to wake up to. We would stay here again. Happy Anniversary! We thank you for providing feedback regarding your recent stay with us and we are pleased to see that you enjoyed your stay. We hope to see you again soon! "Stayed here one night for Concert"
"One of the nicest BWs we have ever visited"
Superior room, great staff, incredible breakfast and staff. They have a laundry facility for guests which we did not use. Gracious and large lobby. 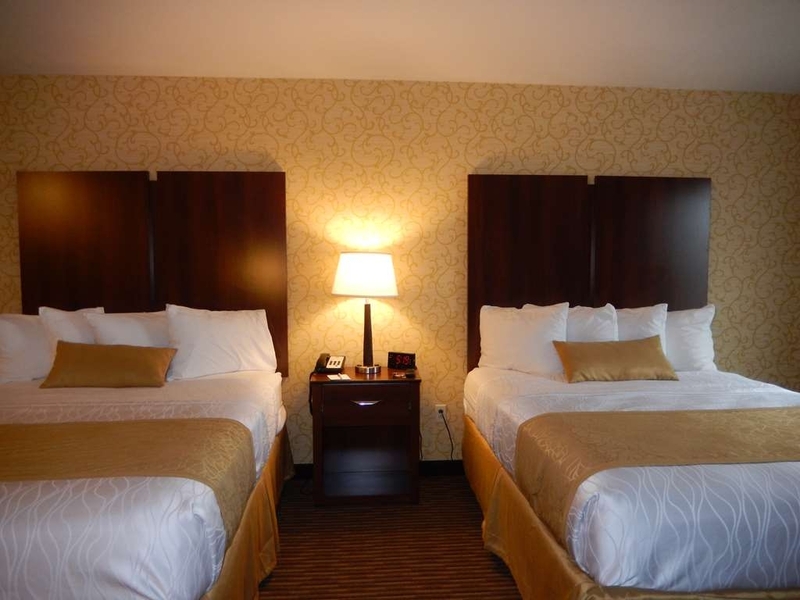 Beds are great, super clean bathroom, very quiet, and the housekeeping staff is quiet and gracious as well. Thank you for the positive review of your recent stay with us. We are pleased to see that your expectations were met and your stay comfortable. We hope to see you again should you return to the Saratoga Springs area! For the price, a very nice fit. Very quiet, plenty of hot water for the shower, clean and comfortable beds, friendly staff. The breakfast isn't up to par compared to IHOP, but was good enough to make a fast exit without having to stop somewhere else. We have stayed here on several occasions, and plan to return again. "Visiting Son At Navy Training"
We had a nice stay at the Saratoga Springs Best Western Plus visiting our son training at the Navy Nuclear facility. We enjoyed the friendly, helpful staff and full breakfast buffet. The beds were a bit worn and uncomfortable. Thank you for providing feedback regarding your recent stay. Your input is very important to us in our goal to exceed every guests expectations, every visit. We are pleased you enjoyed your visit and your interactions with our staff. We apologize for any inconvenience your may have experienced with your bed and we will be following up accordingly. We hope to see you next time you are in Saratoga to see your son. 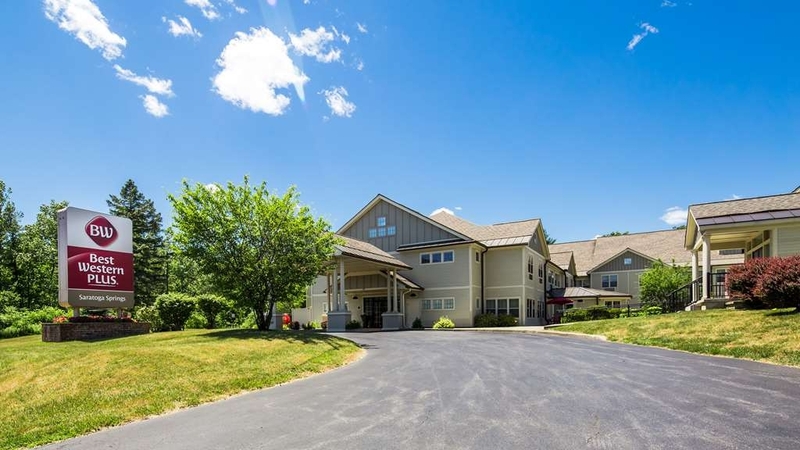 Situated conveniently about 1 mile off Interstate 87 south of Saratoga Springs this hotel has ample parking lots. Very friendly and welcoming staff. Rooms are well maintained and clean with a free basic buffet style breakfast provided. Thank you for providing feedback regarding your recent stay with us. We are pleased to see that our location was convenient for you and that our rooms and breakfast met with your satisfaction. We will be sure to share you positive review of our staff with them. Thank you again for sharing your experience with us and the Trip Advisor readers. We hope to see you again should you return to the Saratoga area! Excellent value for the money spent. The breakfast could have been a bit better - powdered eggs & no bacon. Room was clean, but the bed(s) were not firm. Also, no fan in the bathroom - mirror steamed up too much after shower. My encounter with the desk clerk and messed up credit card paperwork was the start of my stay. It went downhill from there. Actually, the room was fine. No frills. But the staff were the problem. The desk clerk was unaccommodating which meant I had to check out later in the morning while my company sent along more paperwork. Meanwhile starting at about 8am the cleaning staff decided to party in my hallway, so waiting did not mean more productive work time. A lot of the other guests seemed to be in construction, and were all about leaving the outside doors propped open so they could smoke in the doorways. The breakfast was the worst "free" buffet I have ever experienced, and the staff person did not seem to care at all. The coffee came out in spurts of clear liquid and dark and tasted like it looked, and the eggs were desiccated peas. I travel a lot, and usually I can find something to get me going, but not here. Checking out was again a problem, and I heard during my evening and morning waits to be helped, that other folks had issues also. Really? Time for staff training. We thank you for providing feedback regarding your recent stay with us. We apologize for any inconvenience you may have experienced during your stay and we will be following up on the issues you have presented. We again apologize for not exceeding your expectations and hope that you will give us another chance should you be in the Saratoga area. Tv didn't work correctly, there was no indoor.pool or spa, i.used my points so cost wasnt a factor, had trouble with.local can companies, I guess I should have used Uber. It's the.only B.W. So if that's what you're looking for, you're kind of stuck. Thank you for providing feedback regarding your recent stay. We apologize for any inconvenience you may have experienced and will follow up on your comments to ensure we exceed our guests expectations every stay. We hope that you will give us another opportunity to exceed your expectations should you return to the Saratoga region. Thank you. "Second time at this Hotel"
The first time we went with Friends and were so thrilled at the location, the staff and exceptional good breakfast! The second time we went with Family and they just a wonderful time !They LOVED the breakfast, too ! Thank goodness we have this wonderful hotel to go to every time we visit Saratoga Springs! "Good spot for a good price"
When coming to Saratoga Springs, it is often difficult to find a hotel that isn't over the top expensive but is still close enough to the area to be convenient. The Best Western has always seemed to be very fairly priced and a nice place to stay just outside of the city of Saratoga Springs. They are located right down Route 9 and offers an easy drive to either Saratoga or Malta/Ballston Spa. The breakfast is very nice and has plenty of options, especially since it is included free of charge. 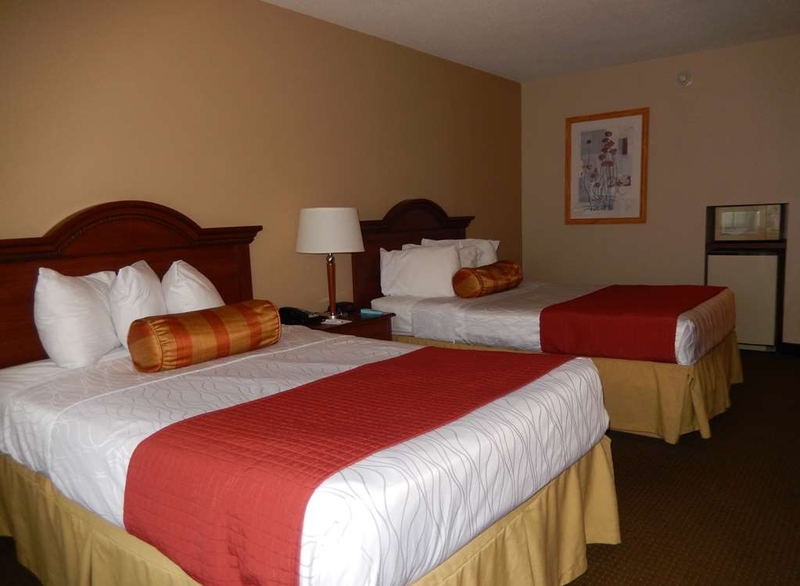 The staff was attentive and friendly and the rooms were clean. I wish they had an indoor pool for the grand kids, which would be the only thing I would say that might be a negative. They do have an outdoor pool for the warmer months which I'm sure is great during the summer. When looking for value, we will come back to the Best Western. Thank you for providing feedback regarding your recent stay with us. Your business is very important to us and we value your feedback. By telling us what you liked about your stay and how we can improve, you are helping us deliver a superior experience for you and other guests in the future. We hope to see you again soon. After traveling and not being in that area before it was a great experience to find this Hotel was outside of the city area less noise but had three easy routes to get down town in less than fifteen minuets. Its a bit away from the town, about 5 minutes by car. There is a BBQ place across the street, beer and wine. The room was comfortable, the breakfast was ok, did the job, it was quiet, off the road just enough and the rooms are at the back of the lobby. Thank you for providing feedback regarding your recent stay with us. We are pleased that you found our location convenient and our accommodations met with your satisfaction. We look forward to seeing you again should you return to the Saratoga region. Thank you again. "A stop over from our Vermont trip going home"
Such a nice hotel. 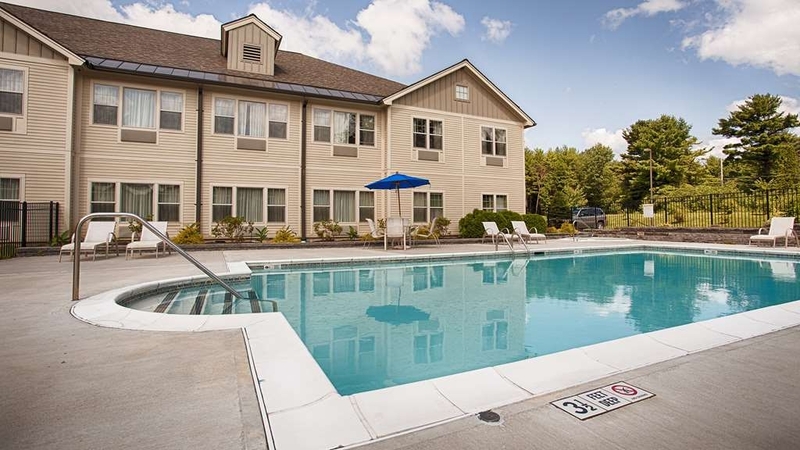 Clean, friendly, affordable and near enough to downtown Saratoga Springs. Easy to find, well lit and very friendly staff. The breakfast menu was pretty much as expected but well stocked and staffed. No complaints here. Good job! Thank you for providing feedback regarding your recent stay with us. We are pleased to see that our accommodations me with your expectations and our location was convenient for you. We will be sure to share your positive review with our employees. Thank you again, and we hope to see you should you return to the Saratoga area! "Affordable and Pleasant Place to Stay"
I stayed at the Best Western on Broadway in Saratoga Springs one Saturday in mid-October. It is located about an eight-minute car ride from downtown, where there are many shops and restaurants. On previous visits to Saratoga Springs I stayed at a bed and breakfast within walking distance of downtown. However, because I was in town to visit relatives and basically used the hotel to sleep, the location was fine for my purposes. I had a room on the second floor. Someone I rode in the elevator with commented that the floor layout was like a maze and somewhat confusing. The room was spacious with a window overlooking the outdoor pool (which was closed for the season). It had two Queen-size beds with an end table in between, a three-drawer bureau with a flat screen television (cable included HBO), a table and two chairs, a bench seat with a mirror over it (there was another mirror by the bathroom door), and a microwave and refrigerator recessed in the wall. The bathroom was a good size with ample counter space. Towels were folded on shelves built in the wall next to the sink. There was a heat lamp and two light switches, one of which starts out with a very dim light—nice if you get up during the night. Breakfast was included. In addition to coffee, tea and juices and bread/pastries, some hot food was available such as pancakes and hash browns. One suggestion: Turn down the heat on the coffee dispenser. I found the coffee to be boiling hot. Service was pleasant. The room rate was $134.10 with a AAA discount before taxes. Thank you for providing valuable feedback regarding your recent stay with us. Your comments are very important and we will be checking our coffee temperature. Guest satisfaction and safety are our top priority. Thank you. "Not the BW I remember, way better"
quite impressed, very clean, updated, spacious. The room had a mini fridge and microwave. nice little gym (more than a treadmill and bike). The continental breakfast was good and plenty. The staff was excellent. Stayed at Ft William Henry the night after, I wish I booked a second night at the BW plus. We truly appreciate your feedback regarding your stay with us. We will be sure to share your findings and positive experience with our staff. It is their favorite form of motivation. Thank you again, and we look forward to seeing you the next time you are in Saratoga. Everything was fine at this hotel, just what you'd expect. Clean, convenient and priced right. The best part is the barbecue place just across the highway (cross with care). Amazing ribs and rubs, terrific pulled pork, all smoked on premise. I booked a room for three weeks in the future. It was a very good rate, and the website stated that it was risk free, with FREE cancellation. When I had to cancel the next day, I found that they charged me the full rate. They kept saying that was their policy, but the screenshot a took clearly states otherwise. I would never book with them again, nor with Booking.com. "best western saratoga springs, ny"
I've stayed at a lot of Best Westerns, and this was one of the nicest, and friendliest, I been at. The breakfast area was larger than many I've been to. It is located just a few minutes from Saratoga. Easy access to dining and nightlife. I would stay again. "Two miles from downtown but worth the drive"
I stayed here for two nights for a wedding. I am a big fan of the "plus" product for Best Western. I find the staff to be extremely friendly and the rooms to be quite spacious. There is plenty of parking and the room comes with free breakfast, I believe this is a fairly new building so everything looks quite fresh. I am a travel agent and have stayed in many many hotels and would highly recommend this property. "Pet AND People Friendly !" The staff makes our frequent stays here enjoyable and they are accommodating to meet our needs & those of our dog too. The bed, linens, room are all clean and comfortable. The accessibility to downtown Saratoga , SPAC and the Northway can't be eat. 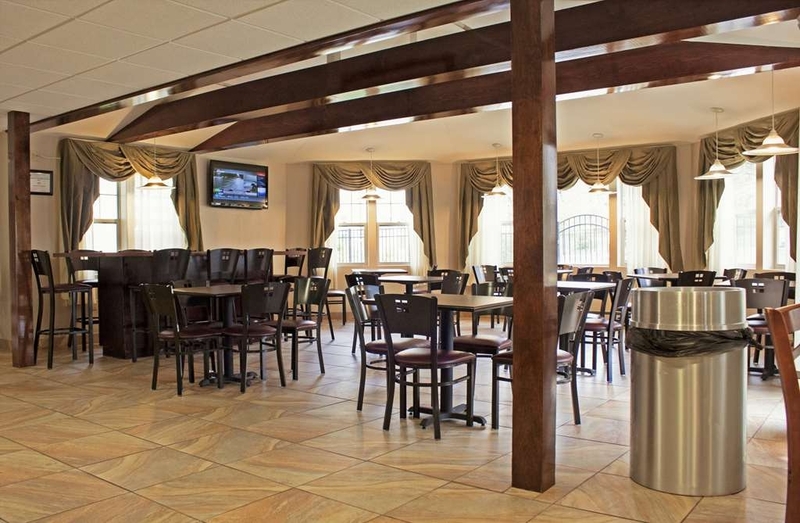 "During a home remodel, the family stayed at Saratoga Best Western. The staff treated us as their family. Awesome"
The Saratoga Best Western has a great pool and gathering space as I was able to work from gathering space. The staff from the front desk to the housekeeping staff were always pleasant and accomodating. Thank you for filling out our survey They show us were we are doing good and were we can improve, It looks like you had a great stay and enjoyed our pool and had our great breakfast in the mornings. Everything was clean, staff was very friendly and helpful. Great location, about a mile from the Saratoga Spa Park, and a couple miles from downtown. Nothing fancy, but I was looking for a clean place for the Ragnar race, and this place delivered. Spent one night here passing through the area, and appreciated the very clean room, and convenient location to downtown and the thruway. Nice buffet breakfast with several hot items and fresh fruit. Motel seemed fairly new. Helpful staff. Bed sagged on one side. Gym opens at nine, after breakfast and closes at 9 or 10 pm, so it's really unusable for many, who might get up for an early morning workout, eat breakfast, and check-out. Outdoor pool is impractical for upstate New York. Unusable for most of the year. Thank you for providing feedback regarding your recent stay at our property. On behalf of our entire team, I would like to apologize for not exceeding your expectations. Your satisfaction is important to us and we will be using the feedback you gave us to implement improvements to ensure we offer a better experience for guests in the future. I hope that you will consider staying with us again so that we can have another chance to provide you with a superior experience. We thank you for your input regarding your recent stay with us. We apologize that your expectations were not exceeded. We hope you will give us another chance to exceed your expectations should you return to Saratoga. "A good value in Saratoga"
We stayed here during the racing season. The hotel price was competitive, they offered a good free breakfast, and the staff was attentive. I would advise staying in the main building. We stayed in the newly constructed addition, and our room was close to the road. There was a good deal of traffic noise, particularly in the morning. Thank you for providing us valuable feedback regarding your recent stay at our property. We are pleased to see that our accommodations met your expectations and we thank you for sharing your concern regarding traffic noise. We hope to see you the next time your in town. This was a great location outside the congested area but near the Saratoga Park - walking distance. The manager was very helpful with suggestions and the property is clean. Breakfast variety was good and fitness center was small but adequate. Thank you for your feedback regarding your recent stay with us. We are happy to see that our location and accommodation met with your expectations during your stay in Saratoga. We look forward to seeing you again soon. Thank you. Had to walk by two big bags of garbage, scrap wood, and a wet pile of towels to and from our room. The staff didn't seem to care. There are a lot of hotels in Saratoga. I'll make sure to stay somewhere else next time. Being here for travers weekend hotels are slim pickings. 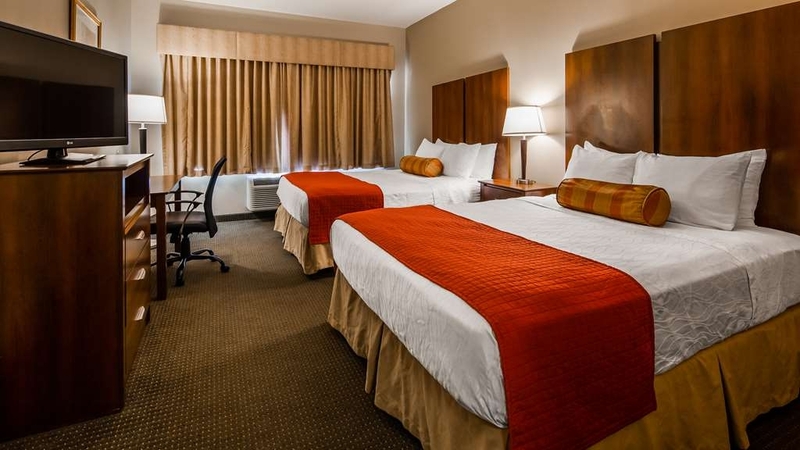 The best western is clean and great location in the city. The track and spac are close and Caroline street is a short cab ride away. The complimentary breakfast is better then expected. I would stay here every year. Your business is very important to us and we value your feedback. By telling us what you liked about your stay and how we can improve, you are helping us deliver a superior experience for you and other guests in the future. We look forward to seeing you next year. Stayed for 2 nights whilst we explored Saratoga Springs . Friendly staff (especially the breakfast ladies who helped my son with his waffles).Very clean with a nice pool area too. Good location for downtown and races too. About $8 with uber . Thank you for taking the time to provide us with valuable input regarding your recent stay at our property. Your business is very important to us and we value your feedback. By telling us what you liked about your stay and how we can improve, you are helping us deliver a superior experience for you and other guests in the future. We hope you will come back and see us again soon. Pleasantly surprised. Greeted promptly at front desk for late check in. This location for horse racing season was very nice, clean & comfortable for the money. Would recommend to friends anytime. Very quiet area. We've stayed for the last 10 years, hotel is a very good option for your racing stay. price is reasonable with going rates during the racing season, clean, neat, nice people, and very convenient. I would recommend. Quiet, new, clean, comfortable, convenient - exactly what this type of resort should be. We didn't spend much time at the hostel but the common space are really nice. People were enjoying the pool and I would have too if we had stayed longer. Mostly I appreciate how really clean everything was. Hotel was very close to Performing Art Center, where we had tickets to a concert tuesday, the 15th. Also enjoyed the mineral springs, walk ways , and manicured park area. Saratoga Lake was close by for boating,fishing, etc. Downtown Saratoga Springs an enjoyable city for strolling the area, food, drinks, street entertainers. Pool area nice, with hot tub, but needs a coupla more tables to sit at for reading, etc. Room was good size, on a corner downstairs, next to door, was noisy sometimes, but made getting to and from car very easy. Mo , the manger was attentive, the rest of staff I encountered didnt seem overly happy to be there, but did their job. Would probly stay there again, maybe not. Nice Hotel a few miles from town. Hotel is new (or newly updated). Rooms are clean, large and comfortable with a small refrigerator and microwave. Bathrooms were clean and updated. Complimentary Hot and Cold Breakfast provided - not quite restaurant quality, but served its purpose. 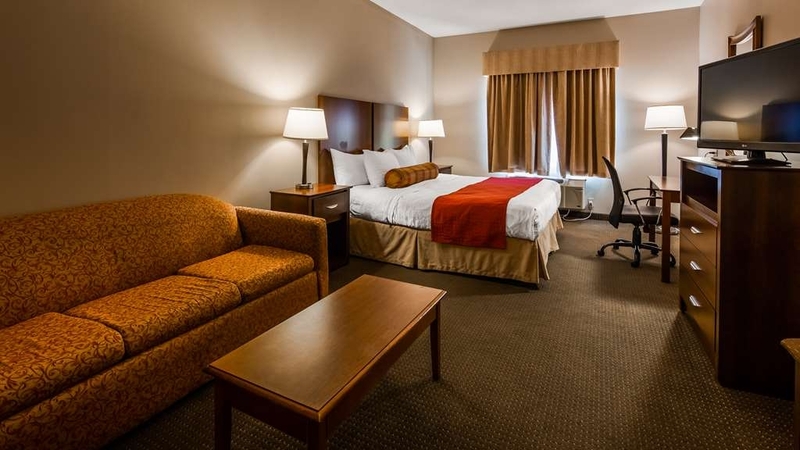 "Great choice for a getaway"
Clean & comfortable rooms.Bed & extra pillows ensured a good nights sleep.Pleasant & helpful staff.Perfect location for visiting casino & track.More than adequate breakfast.Easy check in & check out.Very close to Saratoga State Park. Service and Employees were very friendly. Breakfast has much to be desired. Fake eggs and microwaved sausage . UGH. Other than that, rooms were clean. Room was near the elevators and maids woke us up talking outside the door before we were ready to be up. Once I addressed the problem with them, they were very apologetic and left the area. Price is fair for the area and time of year. "Way overpriced given the amenities"
Came to Saratoga for a weekend of horse racing at the Spa. So it seems did everyone else in the NY area! What can you do, the local hotels can charge anything they like and you're stuck with 'em. For a $400 overnight room rate at a Best Western I thought I'd at least get a clean room - wrong! While the overnight clerk tried to make things right by moving us and providing a discount. The following day the manager overturned the clerk's actions and refused to honor the discount. We had a great day at the track so I wasn't going to argue and let the manager ruin my trip. But, ohhhh, I will remember!! "The place to stay in Saratoga Springs!" Quality service, friendly and helpful staff who make you feel at home! Great breakfast experience. immaculate conditions everywhere: rooms, lobby, breakfast area, outdoor pool and gym! And only 10 minute drive to the race track - the best of everything! My wife and I travelled to the Maritimes to visit a life long friend. Our first real vacation in many, many years. We travelled north of Lake Ontario going east and south of Lake Ontario travelling west. We stayed at 5 different Best Western Hotels. In Burlington Vermont we had a mini suite, use of indoor and outdoor pools and dined in their 5 star restaurant. I am still trying to figure out why it cost $150.00 more per night in Saratoga Springs for a single king. Thank you for providing us feedback from your recent stay with us. The opening of the Saratoga Race Track does have an impact on local rates. Thank you for choosing Best Western Plus, we hope to see you again. The location was most convenient. The hotel was clean and the staff very helpful. I would recommend it for whatever reason you happen to be in the area. 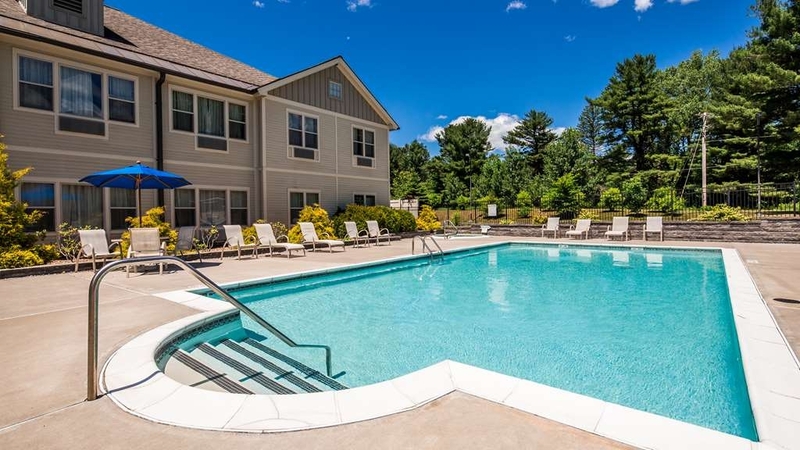 Your proximity to the tracks, casino and downtown Saratoga Springs is only minutes away. Thank you for providing us feedback regarding your stay with us. We are pleased that our accommodations met your expectations and that you found our location very convenient for your needs. We hope to see you should you return to Saratoga Springs! "Mediocre, but great location & friendly staff"
I stayed here for one night while in town on a business trip. The lobby and common area was clean and the desk staff friendly. Unfortunately when I went into my room there was evidence that the room had not been sufficiently cleaned. The beds were made up, but the bathroom had evidence it was not cleaned, and there was dirt and hairs in both beds. I called the front desk and within 10 minutes they brought me keys to another room, which did not have any issues. The location was great - close to the downtown area, the park and racetrack. 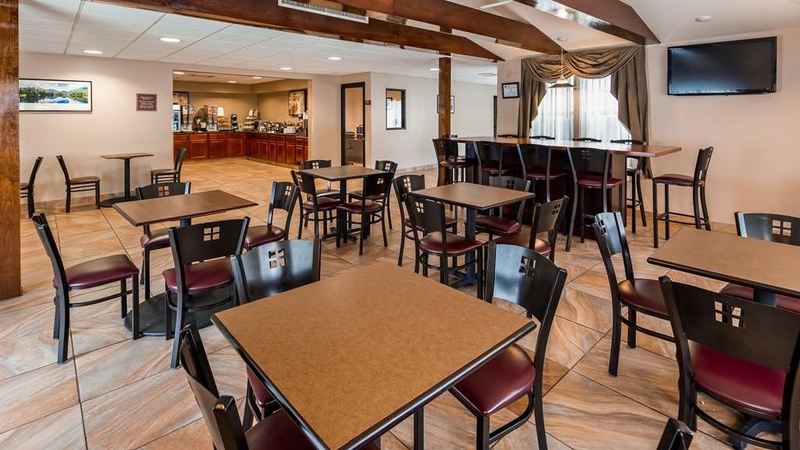 The staff at the continental breakfast was very friendly & pleasant, and when checking out the gentleman at the desk was extremely personable. If not for the issues with my first room, I would have rated it higher - but they did take action quickly to resolve the issue. Thank you for providing feedback regarding your stay with us. We apologize for any inconvenience you encountered during your stay and hope that you will give us a another chance to exceed your expectations should you return to Saratoga Springs. We recently went to a concert in Saratoga Springs and stayed at the Best Western Plus. It is located close to the park. The rooms were clean and check in went very quickly. However when we wanted to check out there was no one at the desk for about 15 minutes. Breakfast was about what you would expect, rubbery eggs bad coffee and undercooked sausages. Thank you for providing feedback regarding your recent stay with us. We are pleased to see that you had a nice stay and that our staff and breakfast met your expectations. We look forward to seeing you again should you return to the Saratoga area. The Maids and breakfast staff were very friendly. The front desk person was annoyed that we came in and ruined her personal phone call, but the rest of the staff was kind. Clean rooms and up to date. The pool and spa were also clean. Thank you for providing feedback regarding your recent stay with us. We apologize for not exceeding your expectations and will be following up on your comments. We hope to see you again so that we can provide you with exceptional service. Thank you again for your feedback. The place was very nice, but the air conditioner wasn't working right and we got in at around 11pm, very tired and just wanted sleep. The air shut off in the middle of the night, and we woke up hot. Also had trouble cooling the room down. Thank you for providing feedback regarding your recent stay. We apologize for not exceeding your expectations in all areas and will follow up on your comments. We hope to see you again should you be in the Saratoga area. "Nice place for a short stay." We are spoiled staying at resorts via timeshares. Nice place for a couple of days. The room was clean, bed comfortable and the HVAC actually worked very well. Frig and micro small but suited our needs. This was just an over night stay for a concert so it worked out perfectly. Venue to hotel, 2 minutes. 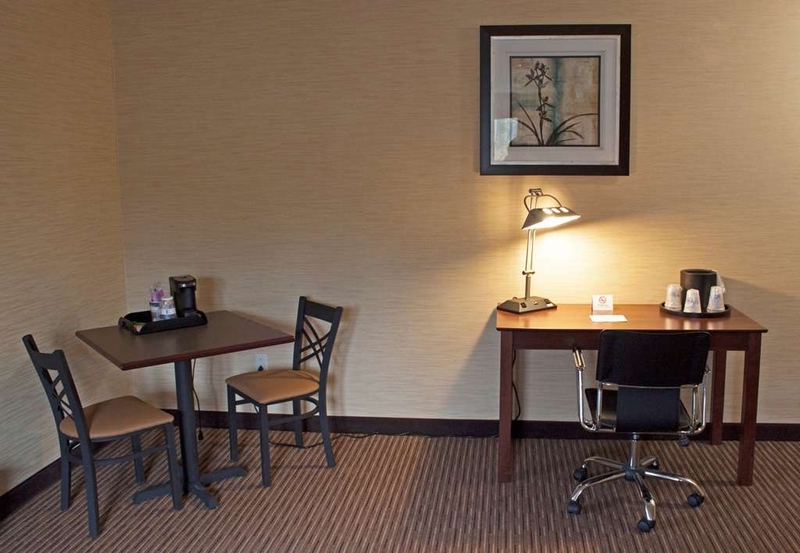 We are pleased to see that our accommodations and location suited your needs. We thank you for providing us with this feed back and hope to see you again. Great location, close to casino, spacious rooms and beautiful breakfast and sitting area with view of the pool area. Check-in was efficient and staff was friendly and helpful. A continent breakfast was provided with pastries, fruit and yogurt. Best of all, the coffee was good!! "No sleep at this hotel"
Carpeting was wet under the AC unit leaving a moldy smell. Faucet handle was not attached. Extremely noisy. Dresser drawers very sticky. Towels did not absorb at all. Hotel staff was wonderful though. Everything about this hotel is great. The employees are attentive to your needs, the breakfast is great and the pool is outstanding. We will definitely be back for thoroughbred racing season as it meets and exceeds all of our needs. We arrived and were getting settled in our room and there was a horrible odor coming from the pull out sofa. Upon opening the sofa we discovered the sheets and blanket were wet and smelled awful. We had to change rooms where we lost both our view and privacy. The next room also did not have a working phone and no hairdryer so we had to walk to the front desk to request one or ask questions. We were hoping to gain some good time back by spending time in the hot tub and pool which had hours of 8am-8pm posted on the sign. However, upon trying to enter at 8am the gate was locked and we were informed by an exceptionally rude front desk staff that the pool did not open until 9am and that was a typo on the sign. We will not be returning. We stayed at this hotel for a night and got pleasantly surprised with the overall amenities that it provided. The room was good with nice comfortable beds. We loved their breakfast buffet which had quite a bit of variety to choose from and the lady who was managing the buffet was very friendly and nice. Overall, it was a good experience and we would like to stay here again if given a chance. "One of the better BW experiences." Excellent value for very little money. This BW is new and attractive, located within walking distance of the Saratoga Springs Spa State Park and an easy drive into town. The outdoor pool, though small, was attractively located in a resort-like setting. All in all, excellent value for money. Thank you for completing the survey regarding your recent stay at our property. Your business is very important to us and we value your feedback. Thank you for sharing with us what you liked about your stay and how we can improve, you are helping us deliver a superior experience for you and other guests in the future. We hope you will come back and see us again soon. Thank you again for taking the time to complete the survey. Had problem with ants and I know it's not hotel fault but bossy hotel clerk didn't want to change our room. To much of an Inconvience for her, I guess. To bad left an unpleasant taste in our mouth, will not return to this establishment, highly priced. Thank you for providing feedback regarding your recent stay with us. We apologize for any inconvenience you experienced while we worked to secure you a new room. Thank you for choosing Best Western Plus, we look forward to another opportunity to exceed your expectations. "nice and basic overnight hotel"
We stayed for 1 night in this hotel. It was the right decision. Staff was cordial. The rooms were clean and spacious. No noise was heard from outside or next room. The gym had all the equipment for a decent workout. The breakfast was a typical one, the scramble eggs were delicious. The hotel has a nice common area. Free parking. Needs many upgrades and better breakfast. Had poor plumbing and 1 of the two beds had a broken box spring. Hope you don't like to fall out of bed! The listing said you were getting a kitchenette. This was a hole in the wall that housed a microwave and mini fridge. What a joke. There wasn't even a counter in the room so the coffee machine was in the bathroom. This room was supposed to have room for 4 people and had one tiny low dresser that the tv sat on. That was funny too. I know a lot of people look for hotels with breakfast included. It was awful. Consider somewhere else! Recently retired elderly couple prefer to drive rather flying. We don't want to be rushed. Have family and friends in the US & Canada. 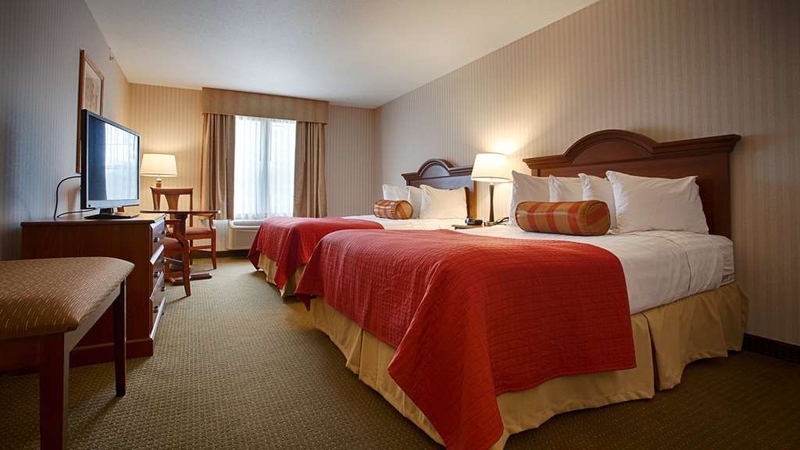 We have found that Best Western Hotels suit our needs for our budget. Ara M. CT. Thank you for providing us feed back regarding your stay with us. We are pleased to see that our accommodations meet your needs and we look forward to seeing you again should you return to the Saratoga area. Thank you. My wife found this deal and I booked it and was very happy with everything, rooms breakfast, everyone cared about us. Very close to downtown Saratoga and the tracks. I-87 is close by if you want to go to Lake George and the outlets in between. My wife said we'll be staying there again. We loved our stay at this. hotel. The place was clean inviting and we had a good service. The place looks new, not too far from the main highway 87 . We really appreciated the breakfast that was included. Thank you for providing feedback regarding your stay with us. We are very pleased to see that you enjoyed your stay with us and that our location was convenient for you. We look forward to seeing you again should you return to beautiful Saratoga! Thank you for taking the time to provide valuable feedback regarding your recent visit with us. We are pleased to see that you enjoyed your stay and we look forward to the opportunity to accommodate you the next time your in beautiful Saratoga! "Wonderful Place to Stay for a Night Out in Saratoga"
My friends and I always book a room in this hotel when we go out in Saratoga. Its only 10 minutes away from Caroline Street, it's clean, there's always rooms available (and cheap form Groupon! ), and the breakfast in the morning is no ordinary hotel breakfast. There's everything from Chobani yogurt, to fresh fruit, to waffles that an attendant will help you make if you're not inclined toward using small appliances. I'll continue to go here and recommend it to friends! When we checked in on march 9th, the desk clerk was very nice and gave us a key to room 103. My wife opened the door and the room was a mess from a previous visit, beds unmade, towels and pillows all over the floor. We went back to the desk and she gave us another room, room 115. By this time I was Leary of this place. We went into this room and I nmoriced one of our MADE beds had really wrinkled sheets. One wall was full of holes, the foot stool was discusting, the other bed that we slept in had stains all over the sheets. In the morning I ran out of hot water while showering. It was bad, I felt like I itched all night. We're sorry to hear that we did not exceed your expectations while you were with us. We have addressed these issues with our maintenance and housekeeping teams. Thank you for taking the time to provide feedback so that we can improve. 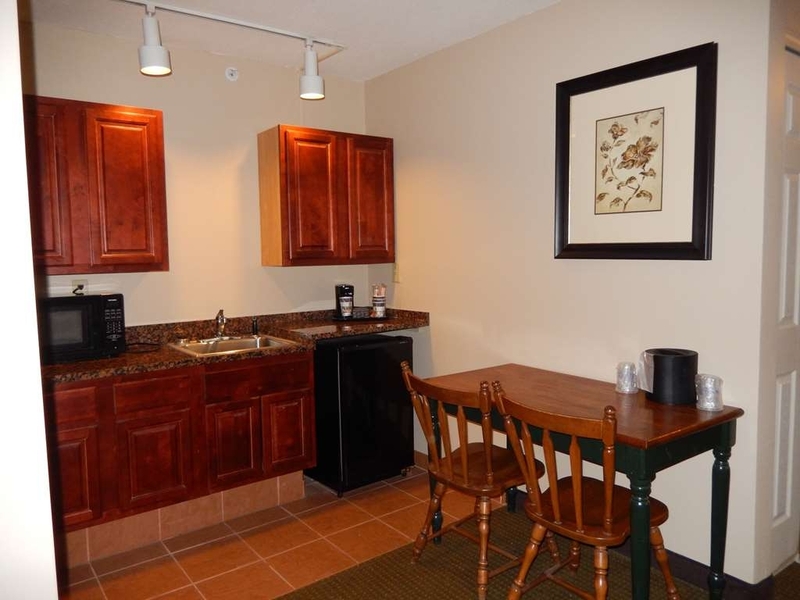 This hotel is just a mile and a half to the center of Saratoga Springs, so it is very convenient and at a great price. Like many Best Westerns, this one seemed to be new or recently upgraded with a pleasant lobby and breakfast area and nicely appointed rooms. The staff was very friendly and helpful. We arrived a bit early and our room wasn't ready, but they welcomed us to make use of the business center so we could search for a dinner reservation. Upon our return home we found that we had left an item in our room. We called and the staff was very helpful, locating the item and sending it to us. Our room was very unsanitary, which I discovered late into our stay. There were a few areas that had bodily fluids (pathogens) in the bathroom area. This inference would leave a person to believe that more than just one area in the entire room would be unsanitary. Isolated as it may seem, the danger of becoming infected could have grave consequences. Attended Head of the Fish last weekend and stayed at the Best Western Plus. We had a 2 queen room and it was just fine. We were on the main floor so not having to deal with elevators and stairs a plus. The breakfast in the morning was what you would expect. It is not in the downtown - no walking downtown unless you wanted to hike it. But the hotel its self was all right. Stayed on October 8th for one night. Although check-in was a little cumbersome and could use some modernizing of their check in process. But we found the hotel to be clean and comfortable. King room, bed very good and not a lot of noise out in the hallway. Breakfast was basic but we really appreciated that it was included because there wasn't much time to explore the area restaurants. I found the hotel to be clean and the staff friendly. It's close to town and Saratoga park. Breakfast had variety. Very nice lobby too! We stayed on a groupon deal so we were unable to get a king bed, but we're ok with the queen. "Good place for short stays"
Nice place - nothing special. Staff was friendly and attentive. Large clean room with comfortable but "creaky beds". Basic motel breakfast included - annoyed that they had no orange or cranberry juice. Reasonably priced and located next to Saratoga Springs State Park. This is the second time we stayed here. It seems to have improved. In the morning, there's a team of housekeeping going about their work. The last we stayed here which was maybe three years ago, the room was not made...one housekeeper said she was late and had not attended to any rooms and it was 4pm. The staff was friendly, especially the breakfast room lady. Breakfast was okay. The rooms are clean and well appointed. The wifi was super fast. If you are planning a trip to Spa country in upstate New York, this is a great place to stay. 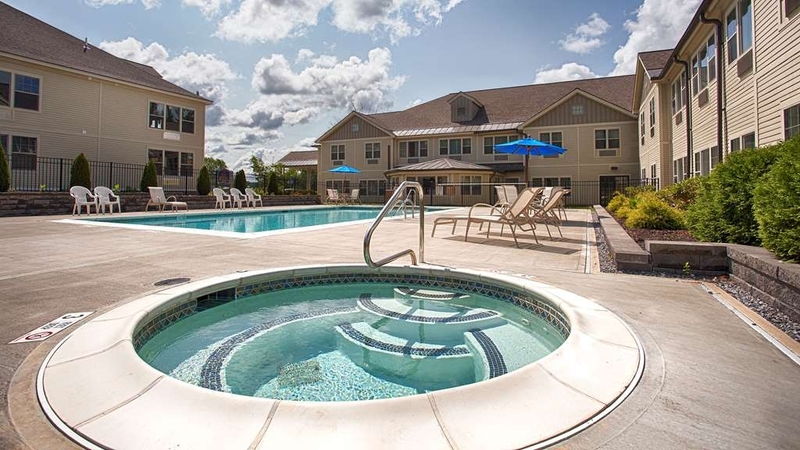 It is located right between Saratoga Springs and Ballston Spa Town. It is practically walking distance from the Roosevelt Baths in Saratoga Springs, and the State Park. It is very quiet. It's wonderful to be out of the downtown tourist scene in Saratoga which can be noisy and chaotic. THIS IS A GREAT PLACE TO STAY! I was with family, but this is excellent for a solo traveller as well. Very safe and convenient. I had a wonderful stay at this hotel for a wedding. The staff was exceptionally friendly and helpful. The room was very clean, and the bed was comfortable. I enjoyed that I had a microwave and a refrigerator in the room, which I had not realized ahead of arriving. The quality of the bed and pillows were very uncomfortable. Staff was pleasant and very helpful. The breakfast was of OK quality bu was not that warm. The hotel was quiet at night and WiFi was sufficient and very easy to obtain. It was a very pleasant surrounding area and restaurants close by with several to choose from. Arrived late. Room was ready. Got a deluxe king room with couch and it was huge. Stayed in a separate building close to road. Very busy highway with lots of trucks all night long. Breakfast was so so. Coffee hot and the employees very helpful. Recommend you get the building behind the office. We stayed in one of the larger rooms with a pullout couch. It was in a separate building right next to Rt. 9. It was very noisy with traffic all night. The biggest issue was the wifi-2 bars. In the main building it was fine. We mentioned the problem and we're told "well it works". All they need to do is put in a router or extender. The room was large, which was nice. Unfortunately, the set-up was wanting. There were only 3 drawers, not enough for the number of people in the room. The tv is against a wall, so it isn't convenient to watch from the bed or couch. The room is dark, with only 2 bed lamps and a desk lamp. You have to push the doors closed and the bathroom fan doesn't do anything. They ran out of extra blankets, which were needed. That being said, the staff was friendly and the rooms clean. They also had a lot of plugs for electronics. The breakfast is very good with a wide variety to chose from. Hotel reception very friendly and courteous. Room was very clean and nicely furnished, even had a microwave. Beds are very comfortable. Only 10 minutes from downtown. First time visiting Saratoga Springs, would definitely stay here again. The room was clean and comfortable. A lot of space, included a King bed and a little sofa The place is not so far from the Park, it has private parking and outdoor pool (that we've not used). The wifi didn't had problem. We were lucky, as the laundry room was just in front of our door, so we've used without problem. Big selection for the breakfast, relaxing in front of the window. The manager(?) is arrived and say 'hallo' to the Guests, helping also an old couple with the cups. 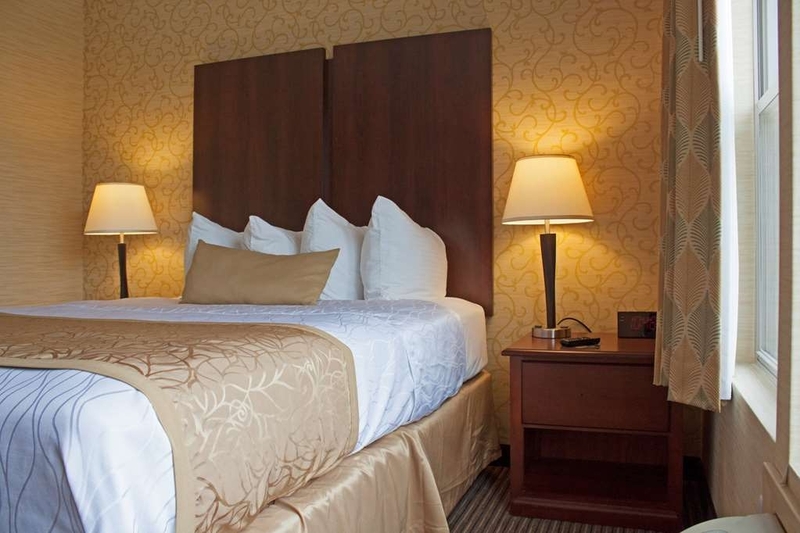 The hotel is on Route 9, not far from I-87 exit, less than 5 minutes from the Saratoga Spa State Park, and about 10 minutes from downtown Saratoga Springs. It is better than I expected: the room is spacious for two double (or queen size?) beds, has free wi-fi, iron, medium-size refrigerator, and microwave oven. 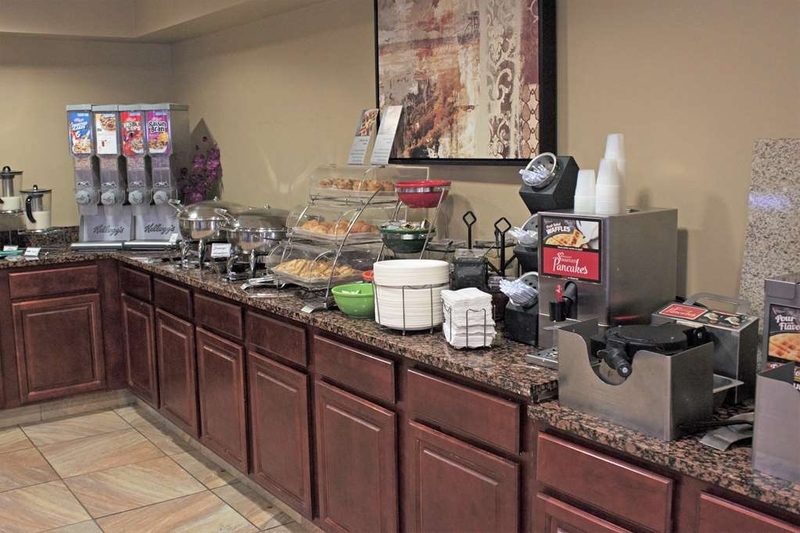 The hotel offers complimentary breakfast (scrambled egg, sausage, cereals, yogurt, English muffins, fruits, pastries, etc.) 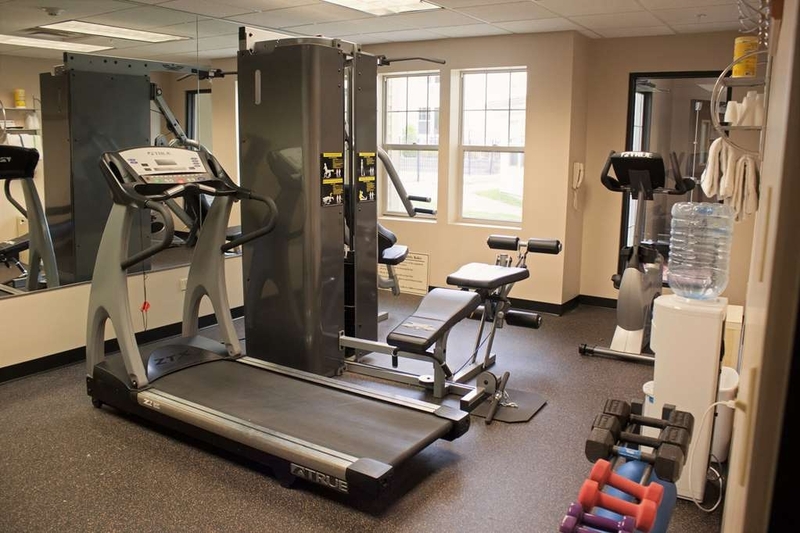 and has a small fitness center. We stayed there one night on our way to Atlantic city. The check-in was fast and the person was nice. The room was clean and the bed was confortable. It was quiet and we had a good night sleep. The breakfeast was good and the place was clean. The only negative was the phone in the room did not work as all the phones in this hotel. The ease of booking, making changes, checkin, billing, room key not working (and not getting a new key right away), etc was stressful and complicated. I would have liked to been able to make changes and pay online for a large group at a corporate rate. What a nice, clean & spacious hotel. So much nicer than the one last night. Friendly staff, clean & very up-dated rooms. Reasonable price. Only draw-back is that it is not in town. 5 minutes away by car. Had a very nice time. "Easy access to Saratoga Performing Arts Center"
This hotel was clean and up to date with easy access to the Saratoga Performing Arts Center. The beds were very comfortable and outside appearance was very clean. We left too early in the morning for breakfast but a staff member offered a Bag to Go (which we passed on) so I can't give a review of the breakfast offered. "Convenient to SPAC, not very clean"
This is the second time in a few years that we have stayed here the night of a concert. Super easy to get to off 87 and the proximity to SPAC is wonderfully convenient. Barely any traffic on the way out and we were back at the hotel in minutes. However, we will rethink our choice next time. We had a king size bed with a pull out coach for the kids. Upon check in, there was only one person working the desk so there was quite a wait. Once we got our room and unloaded the car, we found our key did not work. We were told there was something wrong with the lock and given another room. When We got to the room, we opened the couch. The sheets had clearly not been changed from the previous guests. The main bed appeared clean, but after that discovery, I was skeptical. It made it hard to settle in after that. "Nice hotel and warm outdoor pool"
This is a perfect example of a Best Western Plus line of hotels. Clean and crisp throughout and a pleasant overnight experience. I highly recommend a stay here and a swim in the outdoor pool - was nice and warm for our 2 yr old son. Nice and relaxing to unwind after a day of driving. Free breakfast with fruit, yogurt, waffles, eggs etc. Just an excellent stopover hotel, and Saratoga Springs is beautiful. Be sure to spend the day Truong around and appreciating the racing history the town has to offer. Stayed at this hotel for two nights with several families to see some ballet shows at SPAC. The rates were reasonable, the rooms clean and the pool was great for the kids ! I do not think they had enough employees to cover the desk... It was hectic Upon check in, the woman was kind of rude too ...... Breakfast was just ok ! Hotel was a very good location for the concert we were there to attend. We walked back to the hotel afterward. The hotel was clean and comfortable. Staff was very friendly. Did not eat breakfast. Was a little high priced for an older hotel. "Comfortable, clean and very well-located!" We so enjoyed our stay here--the swimming pool was immaculate and so needed on a hot day after the Races! Also, wonderfully located right next to Saratoga's beautiful park (which houses a historic hotel and the summer arts centers for dance and music) and across the street from a great barbecue place (BBQSA). Even has a laundry room for guests to utilize! Our room was large and well-air-conditioned too. Terrific! "the horse stables would have been nicer"
Just got a bad feeling here. Lobby was all done up, room was painful. Neat and probably recently redecorated. But dark. short stay quality. for the price ($260) I expected much nicer. the free breakfast was the usual choices received but the lay out was very confusing. hap-hazard ..... kept waiting for someone or something to go down. couldn't get out of this place fast enough. 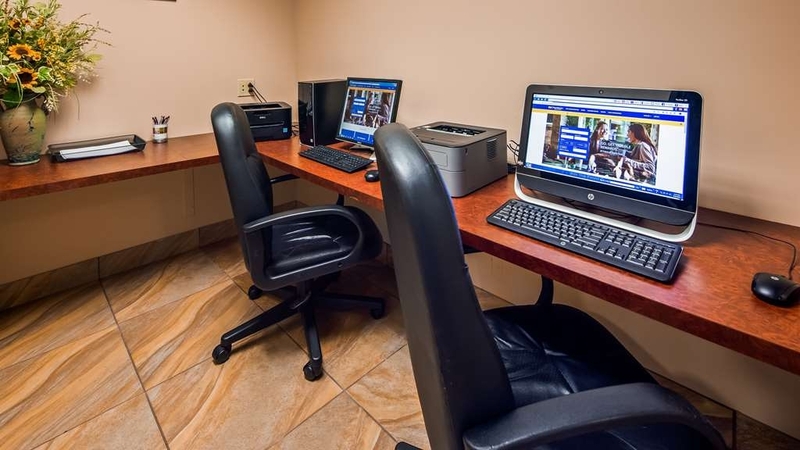 "Great Location to see the Saratoga area"
The Saratoga Best Western Plus is in a great location to visit the entire area. It is close to the casino/racino, the track, the village with all it's great shops and restaurants and if you are there for a concert at SPAC or the Crew Season to catch some rowing you are located centrally. The hotel is beautiful and spacious. The lobby is huge and well appointed. The breakfast area is large and well stocked. The area is also a great place for a group to gather in the evening. The pool area is very nice. I didn't use it, but the fitness center looked nice and there were people in there working out. The room was large and We really thought it was a good size bathroom. Have stayed here before and been pleased, but this time was such a let down. Check in was easy enough, but the room needed help. There was a huge crack in the ceiling that looked like it was in the process of being repaired, but still leaked. My friend found a flea on her foot, and my husband found stray hairs in the shower. We won't stay here again. "Very nice for the rates charged." Very surprised at how nice the rooms were. Very clean, quiet, and peaceful. Mattresses very comfortable. Staff very pleasant and helpful. Easy check-in and check-out. I will definitely choose Best Western next year when I visit Saratoga. This is by far the worst experience I have ever had staying in any hotel anywhere. I have stayed in hostels in 3rd world countries that I would give a higher recommendation to. Where to even start: I called weeks ahead of my stay to find out about early check in since we would be going to the race track for the day. I was told they would do what they could to accommodate us. Fair enough. I was then told that if they couldn't that they would secure our bags for us and we could get them back when we got back from the track. Then came the day we arrived. When we went to check in and the front desk manager Penny informed me that we only had one room. I showed her the receipt for the 2nd room and she let me know that is my problem, not hers. Then Penny let me know that she could not hold our bags. When I informed her that we did not have a car to store them, she again told me this was my problem. At this point I asked to speak with her supervisor and she let me know that she did not have one. When I told her that this answer was not sufficient, she told me that she would call the police if I asked again. There were 4 more events after this that alone would cause me not to recommend this hotel to cap things off. I would stay away from this hotel at all costs. I have stayed at other hotels in Saratoga that are leaps and bounds better than this. Checked into what we thought was a smoke free hotel. Rooms wreaked of cigarette smoke. Rooms were dirty. Towels were stained. Staff were not helpful at all. We thought this was a good location but there are so many nicer placer in Saratoga. This place really needs to improve!!!! This hotel is located about 10 minutes away from the downtown area which was perfect for me. Its very quiet, I stayed here for two nights and it was great! My room was clean and very spacious. I never had to call the check in desk for anything because everything I needed was there. There was free wifi that works! The air conditioner worked well.My stay included breakfast which I enjoyed. The staff was very helpful even assisting with breakfast. The nice staff lady noticed that my waffle was not coming out right and remade it right there on the spot for me. When I checked out, the nice gentleman asked if I had breakfast. I informed him that I had to leave right away so he went and got me some granola bars and some water which came in handy on my trip back to Philadelphia. I thank every one at the Best Western Plus in Saratoga Springs for making my stay so comfortable. This was my first visit and I will definitely be back to stay! Check in was handled nicely by Cathy. Perfect room location, Housekeeping was great but must say, Conrad (MR. happy to help) was the best. Will definitely go back. freshly renovated property, friendly staff and you are in Saratoga! just go. We stayed for a one night visit - booked last minute through a 3rd party site and got a great rate. Room was large and clean - although we did have a room with an adjoining door, we didn't hear our neighbors and had no complaints. Location was a bit farther outside downtown but was perfect for us since we were going to SPAC. We were able to walk to and from the concert - it was about 30 minute walk but it was a beautiful stroll through the park and way better than sitting in traffic! Breakfast was included and delicious, lots of options and all fresh! We didnt use the pool but it looked nice and clean and welcoming. Staff was pleasant and helpful. Would definitely stay again! Terrible for a best western Beds were a mess (see photos) the sheet and covers were probably in a dryer for days. They did not fit on mattresses. So tired after long drive went out to lunch.When we got back from ride Floor was very wet from air conditioner leaking. My socks were soaked. Told girl at desk she moved us to next door. In the morning told manager he did not seem to care. Would not recommend this place to anyone. This is a good mid-range hotel. Nothing fancy but not budget, either. Very close to downtown Saratoga Springs (but not within walking distance). Common area carpets were a bit dirty and the scrambled eggs at breakfast looked institutional (read: powdered). Bathroom was nice. All and all quite pleasant. I arrived 2 weeks prior to the Horse Racing Season. All of the hotels/motels had already raised their rates. I paid more than I wanted for only 1 person at Best Western---but compared to the hotels that are closer to town---I can not complain. The room was great! Big with comfy beds and large nice bathroom. Pool and jacuzzi available. The only negative is the drive to downtown Sarasota in the summer, as there are a lot of people/traffic. "worst room in the house"
Even though res was made several months in advance and we checked in with 20 min of "allowed" check in time, we received the worst room in the house, located in front of ice machine on first floor, with parking lot a few feet from our window. House keeping literally banging on door at 9AM check out day. Location 5min drive to Saratoga Springs! Big Spacious rooms, AC was a bit loud! Big bathroom! Nice pool area with a hot tub. Breakfast was typically american. Waffles, eggs, bagels.. The surroundings are Nice and clean and even though there is a busy road next to The Hotel, you don't really here much from IT. Don't miss The bbq place just across The Street! I have no idea where anyone came up with a bad review of this wonderful place! From the moment I checked in for the week until I checked out my stay was AMAZING. Super clean room lots of amenities, Great breakfast fully loaded! I would stay here again hands down anytime I am in the area! 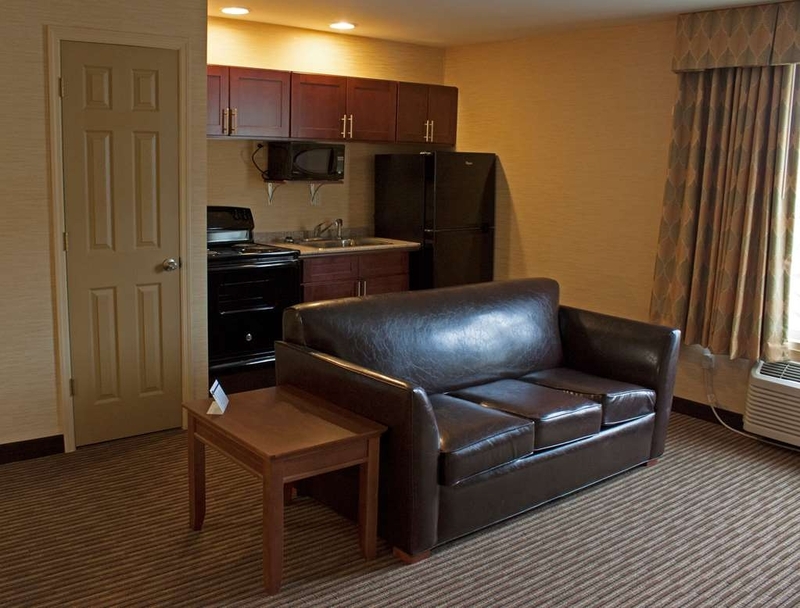 We were pleasantly surprised by the quality of the Best Western in Saratoga Springs. We booked a king sized room and were amazed by the size of the room and pleased by the cleanliness and layout of the space. As a bonus, it had the best hotel shower I have ever experienced- water pressure and shower head setting options were awesome- it felt like I was getting a massage! "We can't understand the negative reviews." To tell the truth, we were a bit leery to book here after seeing some of the reviews, but we had a Groupon rate and figured it will be what it will be. Well, were we surprised! The motel is very clean, the room wasn't fancy, but we knew it wasn't a five-star hotel. It was large and clean, and it had everything we needed, even a very comfortable bed and great pillows. As someone mentioned, it was very quiet, which is hoped for, but rarely found (I always forget this when I'm getting excited about going away - that home is usually way quieter). The staff was more than helpful and friendly, too. The breakfast was way better than adequate, with waffles, eggs, sausages, many choices of breads/muffins/rolls - too many choices to mention! Will definitely visit again! A friend from out of state came to visit. We didn't want to drive the distance to my home. We love visiting the area when she comes to visit. Booked the hotel at a great rate. Included breakfast. When we Arrived at the hotel they had our reservation and our room was ready. The lobby was clean, bright and very welcoming. Staff at the desk was very friendly and helpful. We requested two queen beds. The room was surprisingly large and very clean. Along with the 2 queen beds, there was a table with 2 chairs. Microwave, coffee maker and fridge. It was not until we looked in the bathroom that we realized it was a handicap room. Being in healthcare I can tell you that the bathroom was a true handicap set up. Wide door, plenty big enough for a wheelchair. 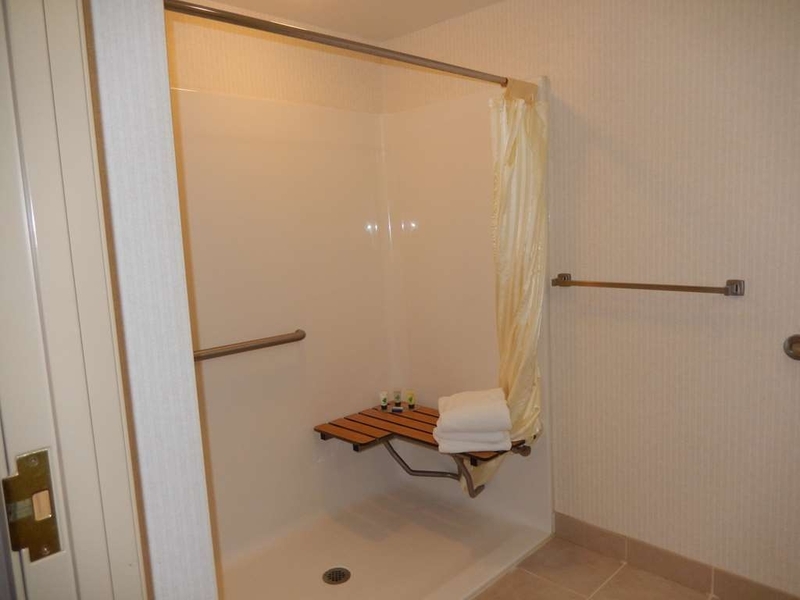 The shower was large with a Bench seat that you can shift from chair to shower. Small edge to enter easily. Regular shower head as well as the hand held device. This worked well for us since my friend had both knees replaced a few months ago. Lots of grab rails so. Great place, awesome management! Definitely come back again and recommend to others. Wish weather was good, so I could have used the pool. Only thing I didn't, WiFi was keep disconnecting every 20 minutes. "an ok place to stay"
My husband and I stayed here for one night. The staff were very friendly and helpful in every way! The hotel itself needs some good cleaning and updating! The complimentary breakfast was adequate. The location is a short drive to downtown. "Great place to stay for a concert"
Great service from the staff and very good location for a concert. Although beware if the booking says pay when you stay.. they charged my card before I stayed. I let Booking.com know. They offered to refund my money but I still wanted the room. So beware they may charge your card before the stay. A disappointing stay as most Best Westerns we have stayed at have been good. Staff not friendly. Dirty carpets. Not very comfortable beds. Hot breakfast ran out by 7:15am and no one around to refill. Hear every sound in the halls. As a return Best Western customer found a Groupon for this hotel and thought it would be a good deal. There is no wifi and if your're looking for breakfast any "served" was stale. Very disappointing stay. I rank it good - not very good, but better than average. In some areas it ranked high like their staff was pleasant and helpful. The location of the hotel was excellent - just minutes away from the high school where the basketball tournament was. There were more issues with the facilities than the staff and food. The shower head was broken, it worked, but not as well as it should. The a/c filters were frozen. The fridge froze everything we put in it without any control button to change. The hotel needs more than just one washing machine and one dryer. Room was clean. Staff was friendly and helpful. Close to all the attractions in Saratoga Springs. Hotel backs up to wooded area. Quiet and even though it is on one of the main streets of Saratoga, it was not in a busy area. "A Very Good place to stay"
Room clean and had all of the necessary amenities. Close to down town area. A short drive to both tracks and casino. Complimentary breakfast was surprisingly good and consisted of more than coffee and buns. When we were looking for a hotel to stay in during the memorial day weekend, the BW was the best option for us in terms of price and location. This particular hotel looked brand new and the room we stayed in was very spacious, spotless and the wifi connection was fast. Additionally, Penny at the front desk was very helpful and pleasant. The breakfast, however, can be improved, but it was good enough. I would not hesitate to recommend this hotel if you are looking to stay in Saratoga Springs area. Very clean and well maintained location. The rooms are high quality and extremely clean. The breakfast selection at this location was fantastic. Very friendly staff. Nice pool to enjoy. Enjoyed the very popular BBQ place across the street. Definitely recommend this hotel if in the area. Thank you for your wonderful review. We are glad that we have exceeded your expectations. We Hope next time you are in the area you decide to stay with us again. "Skidmore College parent present for graduation event"
Recently renovated Best Western was a pleasant surprise. Skidmore College graduation was nearby. Definitely come back to Best Western. Well run, clean, professional, neutral décor. Your home away from home setting. We all at the Best Western want to thank you for your kind words. As a team we strive to make our hotel a home away from home. We hope that you stay with us again next time you visit the area. "Average at best, but not terrible"
Continental breakfast was not great, barely warm. House keepers missed items each day we stayed. First day no coffee. Second day no Bath towel. Rooms were ok, not really up to date, but clean. The beds weren't as bad as most hotel beds. We are so sorry that we did not meet your expectations. We do appreciate your feed back so we can address the issues. We hope that you deside to stay with us again in the future. Good location and value for money. Be sure to visit the state park in Saratoga Springs...worth the trip. If you are a golfer Saratoga spa golf great coarse and value for money, located in the State Park. Spacious and decently decorated rooms, coffee making facility and fridge and microwave available, very good breakfast, parking, free wifi and really nice neighbourhood for walks. 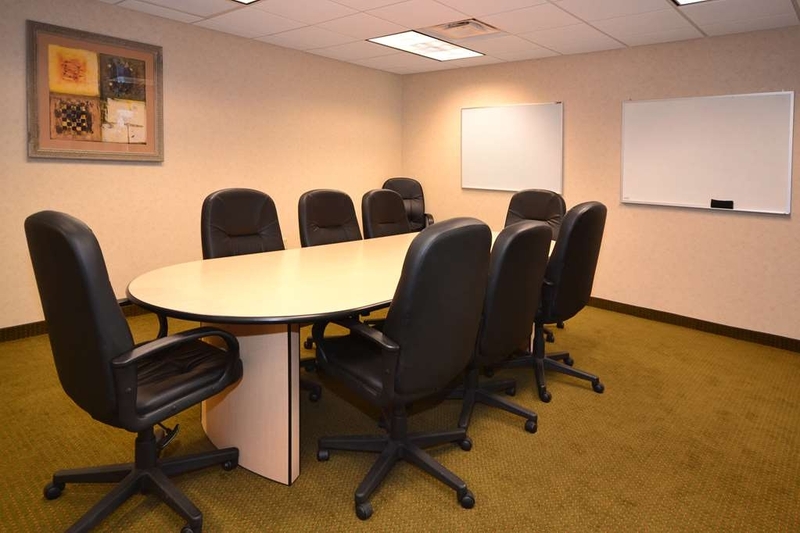 Conference rooms and fitness available, too. Some minor negative things such as poor light in the room and location of the coffee making facility just next to toilet. We were so lucky to find a room at the last minute in an area that had no rooms available anywhere. This hotel looked brand new. Our room was huge, spotless, smelled great and had the most comfortable bed we have ever slept on. The free breakfast was great with lots of variety and plenty of food. We will definitely stay here next year! "Close to Saratoga Horse Show"
Convenient location if you are showing at Saratoga Springs Horse Show and they are pet friendly. Room was clean and bathrooms upgraded. Staff friendly and helpful. Would recommend to horse show people. Average hotel with nice amenities. If you're looking for low cost and good service, this is a decent hotel. It was quiet at night and we were able to get some sleep. The beds were just average but clean. Bathrooms are big and roomy. Nice fridge and microwave. Nice decor. Overall enjoyable stay and we've been here twice. "Great place to stay, pet friendly." Located near the Saratoga State Park and pet friendly the Best Western accomodations are excellent, clean and the staff friendly and helpful. Plenty of parking and a very nice breakfast in pleasant surroundings. Close to the downtown, casino, and Saratoga Performing Arts Center. Easily accessed from the Adirondack Northway. The eggs and decaf coffee where ice cold. Tried to make toast but one half of the toaster was broken and the poor woman working the breakfast station informed me that she has told management to no avail ! Had to make my toast in the waffle maker because the wait time for toast was at least 15min. I'm surprised that management has not purchased a new toaster to solve this very solvable problem. "Great location, clean, comfortable, easy"
On a college tour with my daughter and her friend. The service was great. The facility was clean and well maintained and very easy to find and park. Easy access to Saratoga. Comfortable bed and the price was reasonable. I would highly recommend. Dear Carl T, Thank you for taking the time to provide us with feedback on your recent stay. We are pleased that you enjoyed the accommodations and found our staff to be helpful We would welcome the opportunity to have you return to our hotel for a future stay. Had to stay here for work call Kathy, She set me up with 4 room great rate, Jess check us in very fast. Very Clean room, Beds where very nice Bathroom Very Clean great breakfast. I would stay here any time. Dear Dwayne P, Thank you for taking the time to provide us with feedback on your recent stay. We are pleased that you enjoyed the accommodations and found our staff to be helpful. We would welcome the opportunity to have you return to our hotel for a future stay. "saratoga,ny best western inn plus"
Great place felt like home away from home kind staff and great continental breakfast. Overall loved the place. place had everything from a gym, to ice machine even washer and dryer for a small fee and once again it was great also free hbo. Dear Albert A.: We thank you for responding to this survey and providing us with valuable feedback regarding your recent stay. 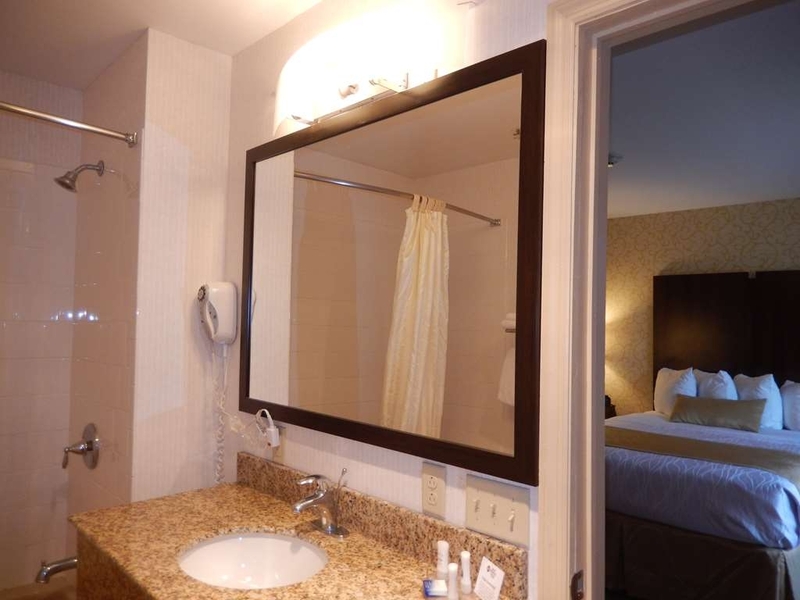 We are pleased to see that you enjoyed your stay and our amenities met your needs. We will share your positive with our team as positive guest input is their greatest form of recognition. We look forward to the opportunity to serve you again should you return to beautiful Saratoga..
As a gold crown member I was disappointed with this establishment. It did not meet the standards I have come to expect of Best Western. The mattress was worn out, the High Speed internet was not and the shower handle fell off in my hand. My wife and I were searching for a hotel that allows small dogs. 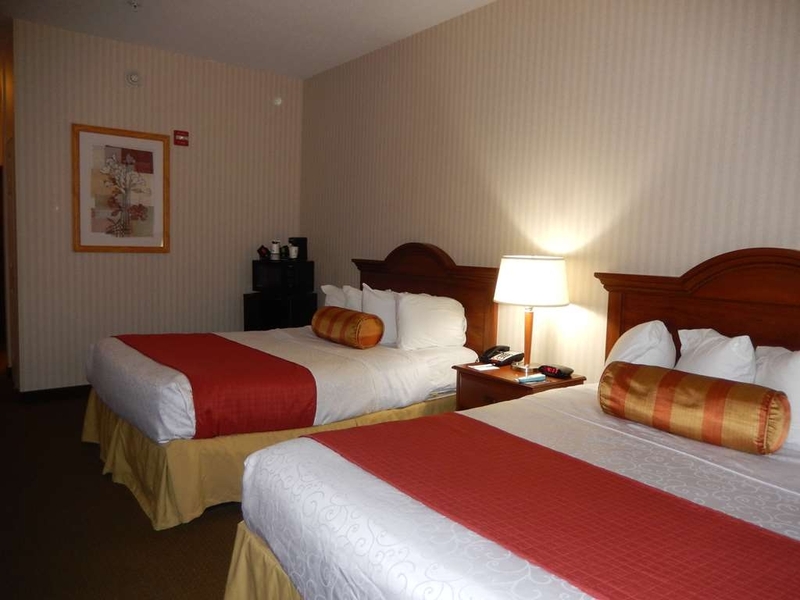 We were very pleased with the cleanliness and quietness of the overall Best Western. They only charged a $20 general sanitation fee for dogs, other hotels in the area require $115. The room we received was spotless and odor free. It was my first time at a Best Western in a decade - I will book with them ore frequently. Dear Guest, Thank you for taking the time to provide us with feedback on your recent stay. We value guest feedback, as it helps us in providing the best accommodations and customer service possible. We would welcome the opportunity to have you return to our hotel for a future stay. my husband and I stayed here on new years eve. 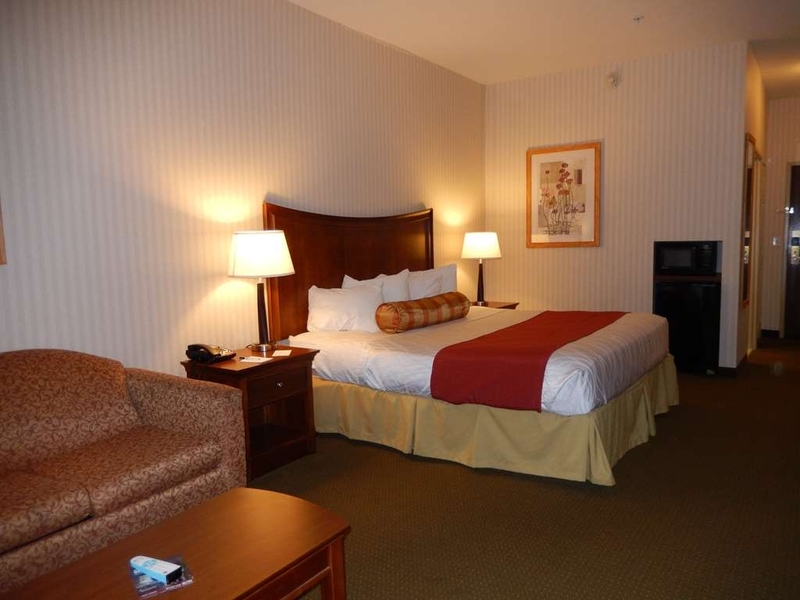 we went to the racino for new years eve and then stayed at the best western it was close to the casino. everything was nice. the beds are a little hard for us, but that is just us some like them firm. rooms were clean, quiet and staff was very nice. our room was suppose to have a coffeemaker but there was not one, the desk clerk offered to send one up thr next morning. Final Bill of $114.88 for one night stay is exactly what I expected. Noise from next room at 4 am, so-so bed, were only problems. I come to expect Best Western isn't going to put IHOP out of business any time soon with their breakfast, but that's ok with me. Everything else was ok, room temp., hot water, cleanliness, working refrigerator. Good location. Best Western has made an effort to keep the cost reasonable, only wish Comfort Inn and others would do the same. Good: Located very near a beautiful park to walk, run, bike. Nice, sincere staff. Big rooms and comfortable bed. Great/free internet. Bad: Huge pillows (not good for sleeping). Blowing, old heaters. Luke warm coffee. No one there for check out. "Dated" lighting plan. Dear Guest, Thank you for taking the time to provide us with feedback on your recent stay. We are pleased that you enjoyed the accommodations and found our staff to be helpful. We would welcome the opportunity to have you return to our hotel for a future stay. Clean, comfortable room. Very good amenities for the price. Breakfast is more then adequate. Rooms are larger and more comfortable than expected for a reasonable price. I would highly recommend this hotel to all my friends. We had a wonderful stay everyone there was very helpful with directions to restaurants and places to sightsee. But we did find it odd that supermarkets did not carry beer or wine. Hard to find liquor stores. My husband & I spent two nights at the Best Western in Saratoga Springs. As a repeat visitor to the "Plus" of best Westerns, this is not. The location was excellent. The breakfast was downright lousy. I reserved the room directly through the hotel to make sure of certain amentities, mainly an elevator. Yes it has one. Was it working properly? No. We didn't discover that until after we checked in and had to walk down the stairs. I was 2 weeks out of knee surgery and my husband is getting ready to go in for knee surgery. Navigating stairs is not a good thing to be doing. When I addressed my concerns to one of the clerks, I was interrupted and dismissed. She made excuses and did not want to listen to my concerns. The next clerk I spoke with was more kind and understanding. I'm sure they were tired of complaints about the elevator and I'm not usually one to complain. Compared to other "Plus" Best Westerns, this one just didn't make the grade in my book. The breakfast was less than desirable. The food that was supposed to be hot was not. Fruit was old, yogurt was not cold, but the coffee was decent. To be fair, we were slightly compensated for the inconvenience of the elevator. Others that complained louder were compensated more. It just was not a pleasant stay. "Nice staff and nice hotel"
A nice stay and very friendly staff. Its a bit dated but its clean and comfortable. After driving 5 hours in the rain it as a welcome stop and easy check in and check out. Did not go for breakfast but most American hotels are sugar sugar sugar. Lovely lady on reception was so friendly and helpful. Thank you for completing the survey regarding your recent stay at our property. Your business is very important to us and we value your feedback. By telling us what you liked about your stay and how we can improve, you are helping us deliver a superior experience for you and other guests in the future. We hope you will come back and see us again soon. If I can be of assistance in the future, please don't hesitate to contact me at 518-584-2350. Hotel was nice, clean, and located near where I needed to be for my work. Room was comfortable and the place looked like it was updated recently, bed was comfortable. For the price, the place is fine. This hotel looks good but has a mix old, new, non operating, and partially operating equipment. I can not decide if it is undergoing renovation, being built on a skinny budget or a building built for some other use being converted to a hotel. The later might explain the quirks such a floor plan. The location is rural and thus quiet. The floor plan is odd making access to many rooms inconvenient. "Bad Customer Service and Not Clean"
Arrived at the hotel and was told I needed a special document to check-in. Understandable I thought and asked to use the hotels business center to print said document. Big mistake as the internet must have been dial up and I could not even access my email due to the poor connection and speed. When I mentioned this to the front desk she did not move an inch from her chair nor offer any assistance. 1 hour later I am finally able to print this document and get checked in. I am given a room off of the main hallway which smelled distinctly of body odor, disgusting. Once inside the room itself the first thing I noticed was hair particles all over the bed spread. Needless to say my girlfriend and I were disgusted and would have checked out if not for the poor weather conditions that night. Note to management train your housekeeping team to better inspect each room especially looking for human hair which is just gross.